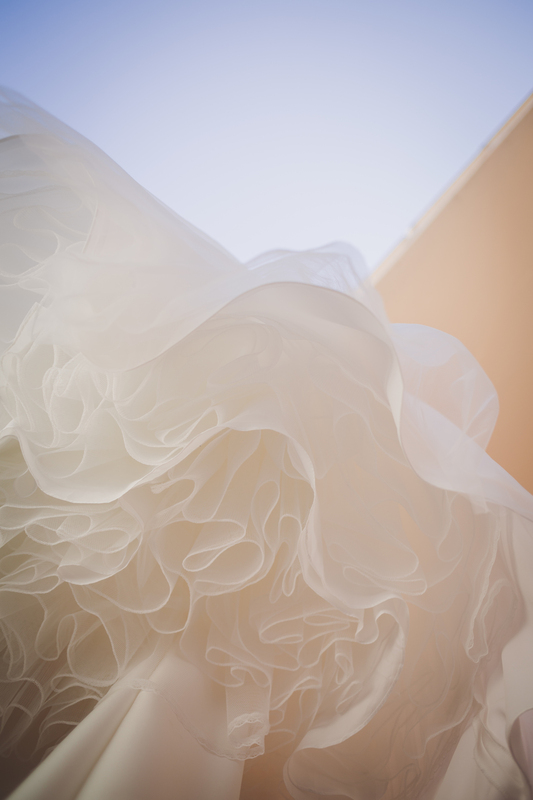 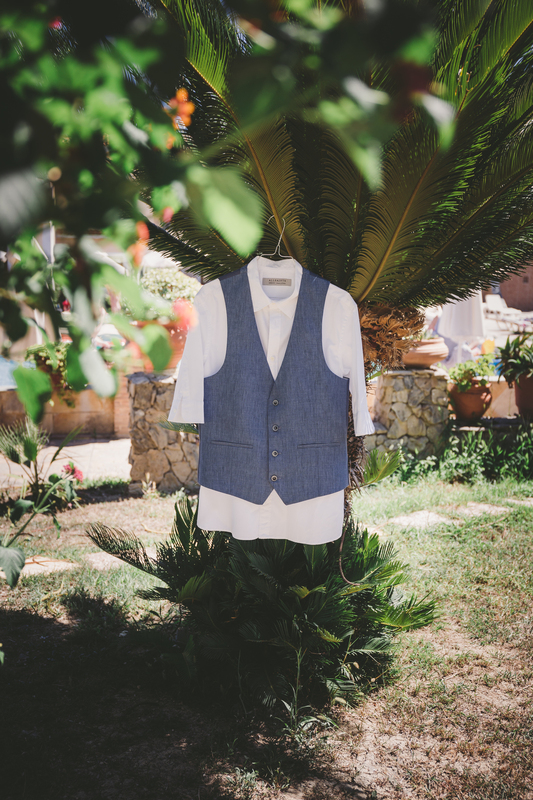 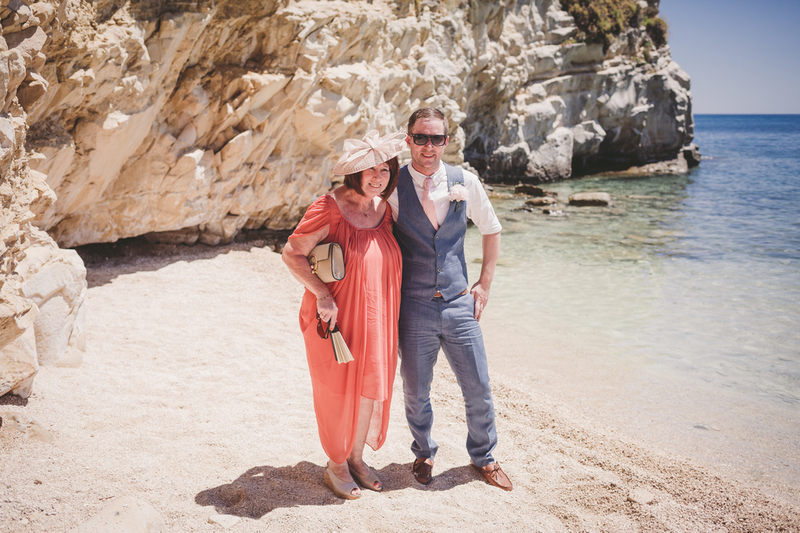 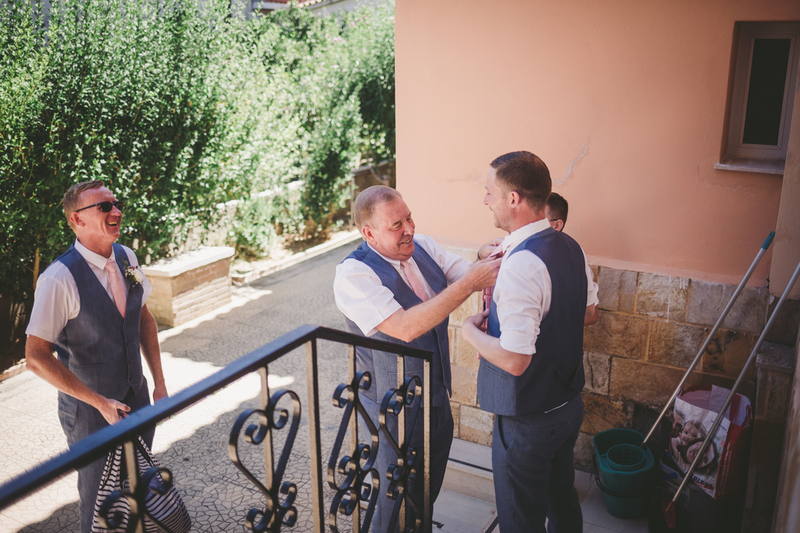 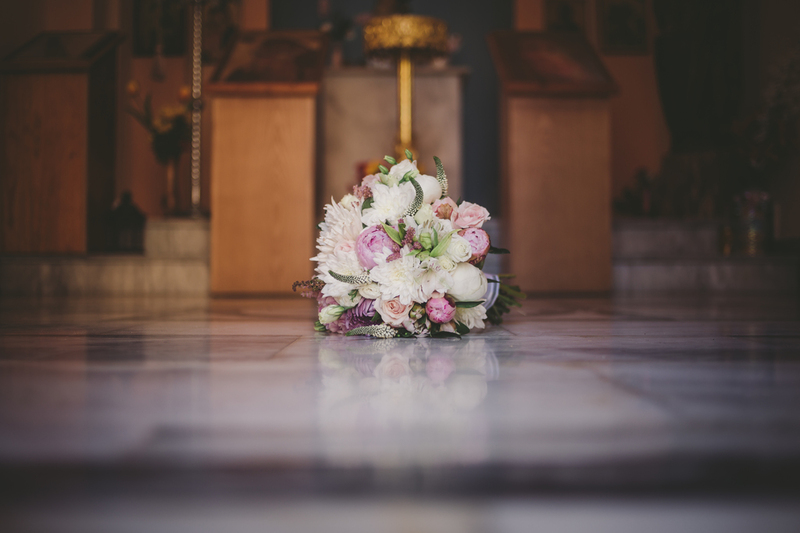 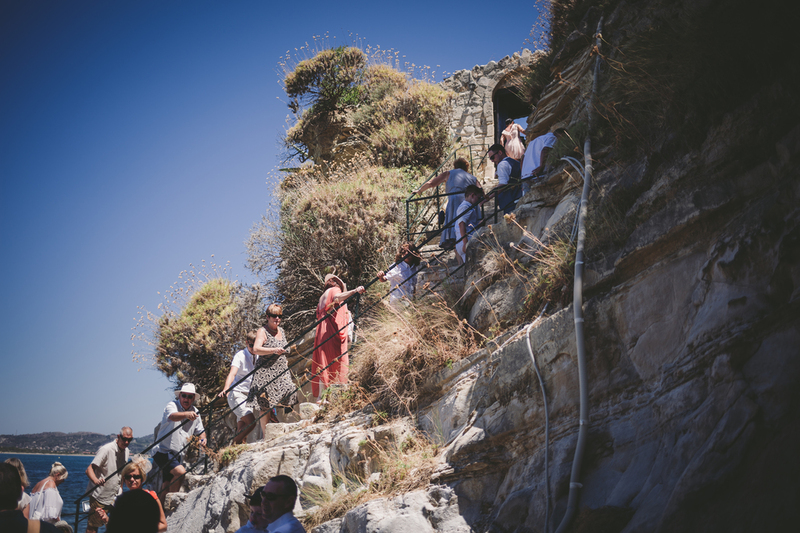 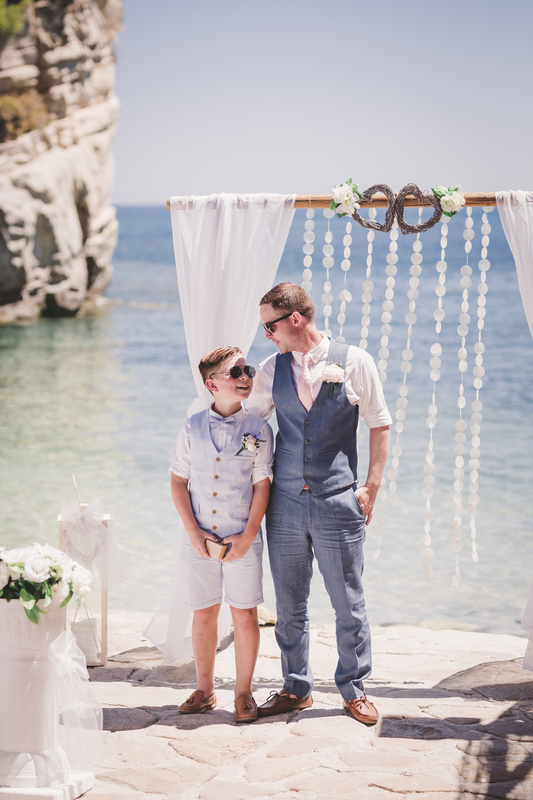 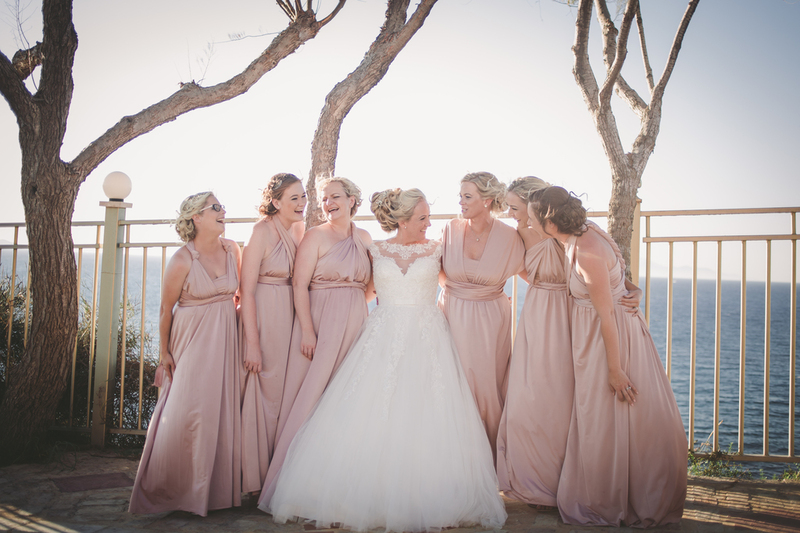 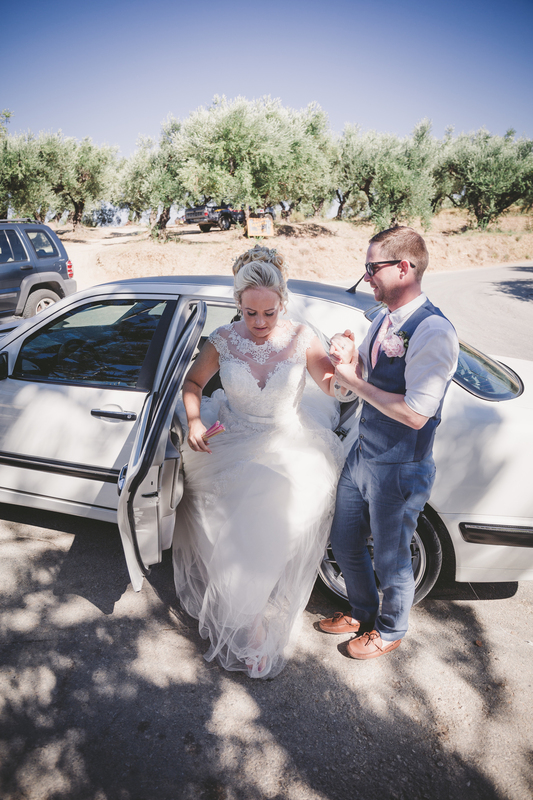 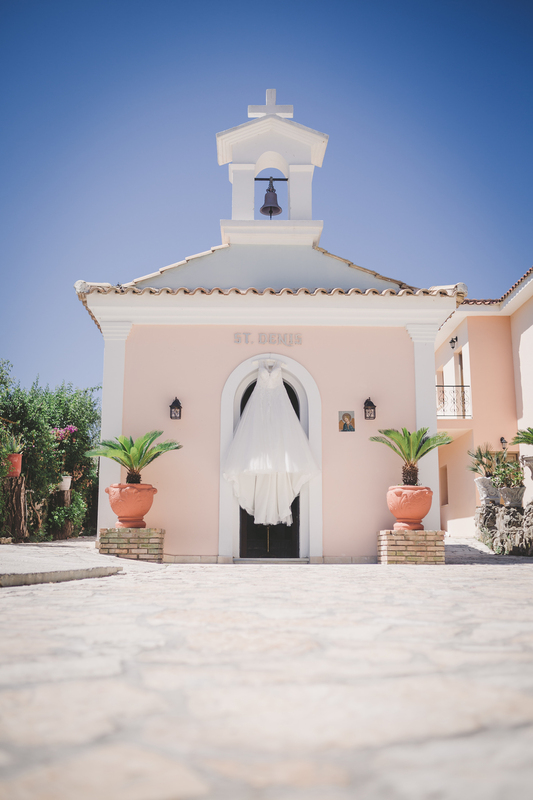 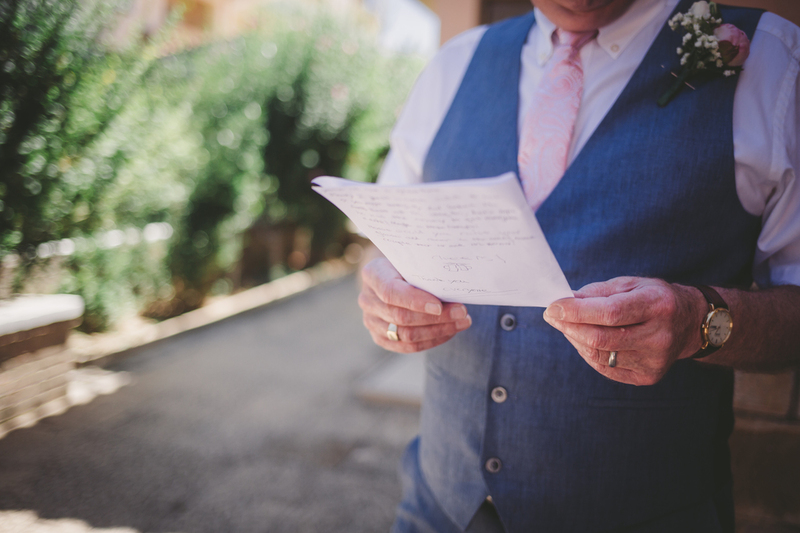 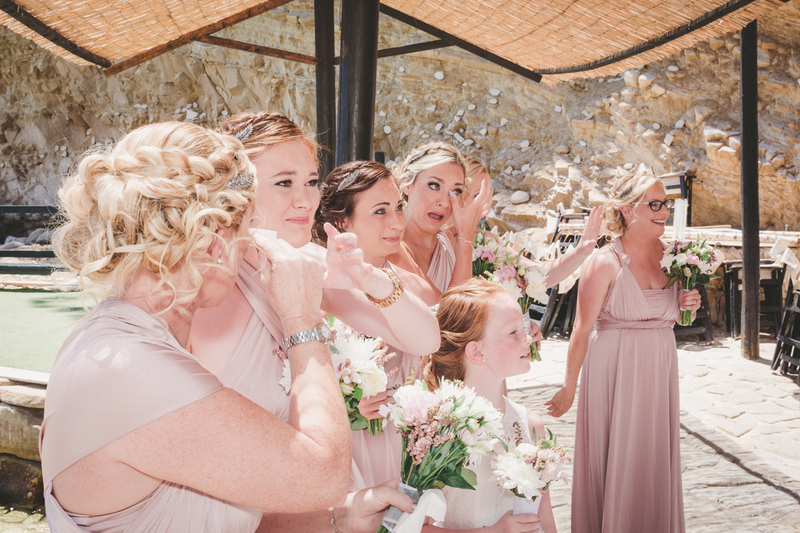 Today I am thrilled to share this beautiful Destination Wedding in Zante with a blush pink and sky blue palette. 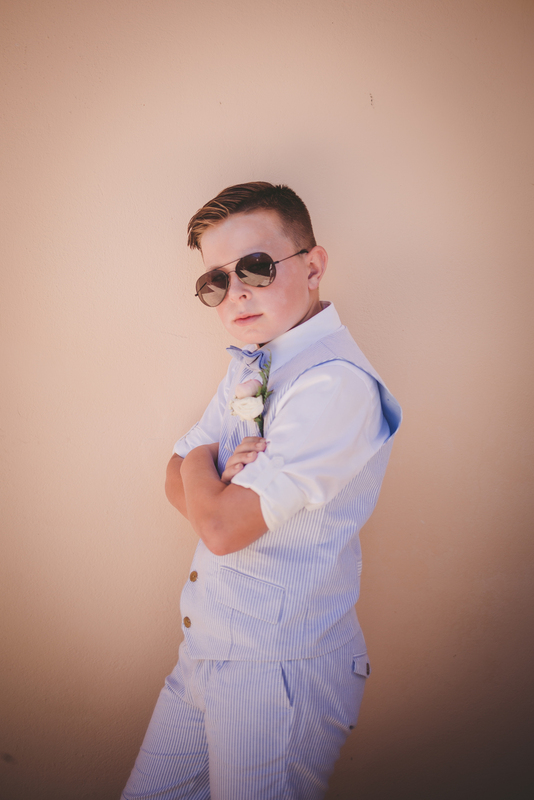 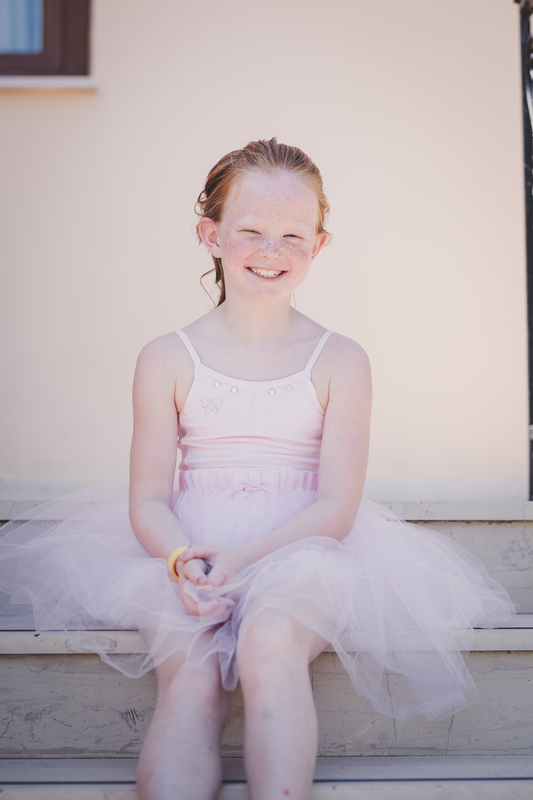 Images were captured by Mini & Me Photography. 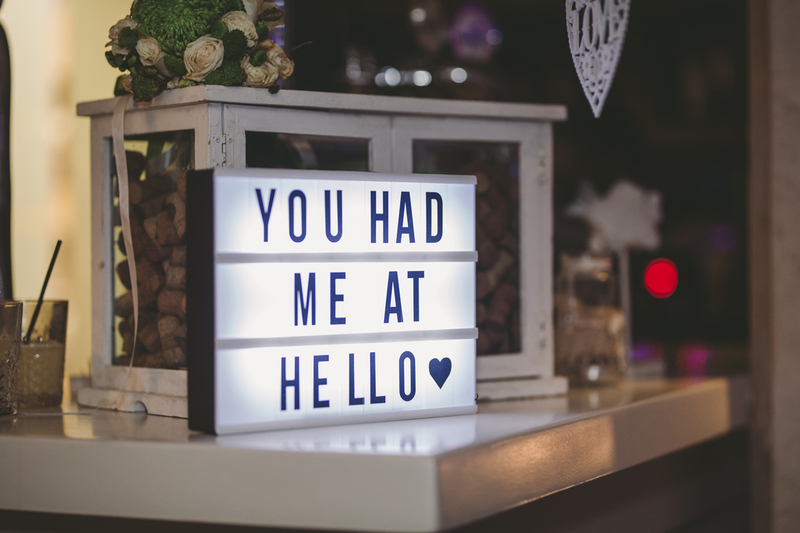 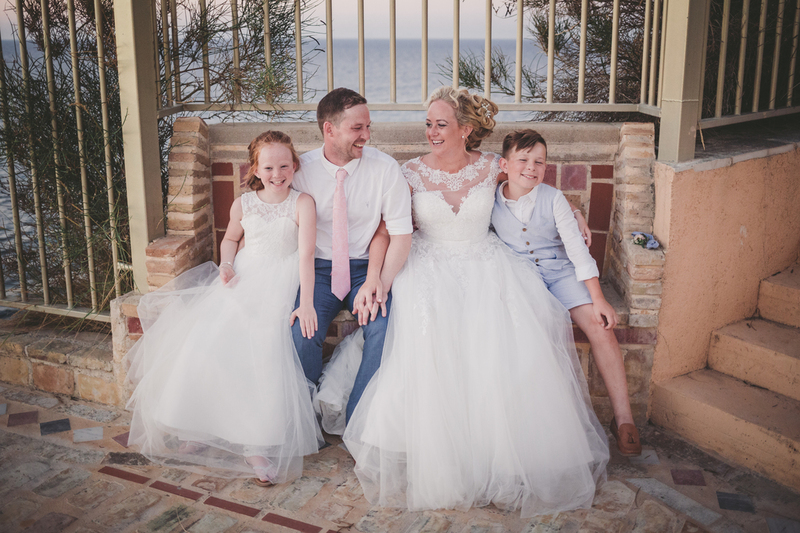 Mini & Me is a female photography duo based in Kent & Essex, super chilled and fun they think that wedding photography should be the same. 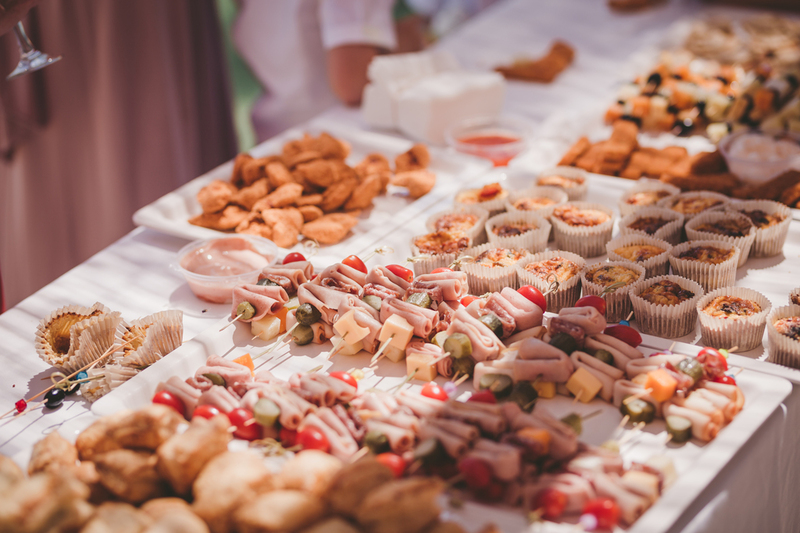 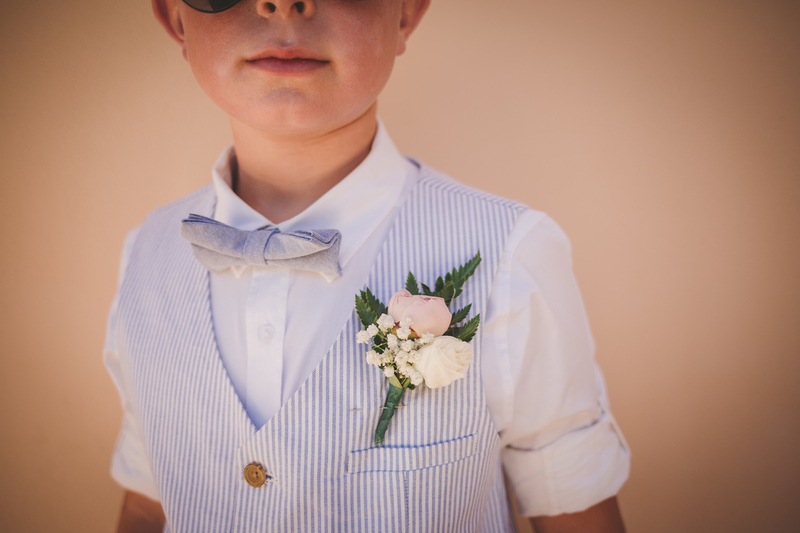 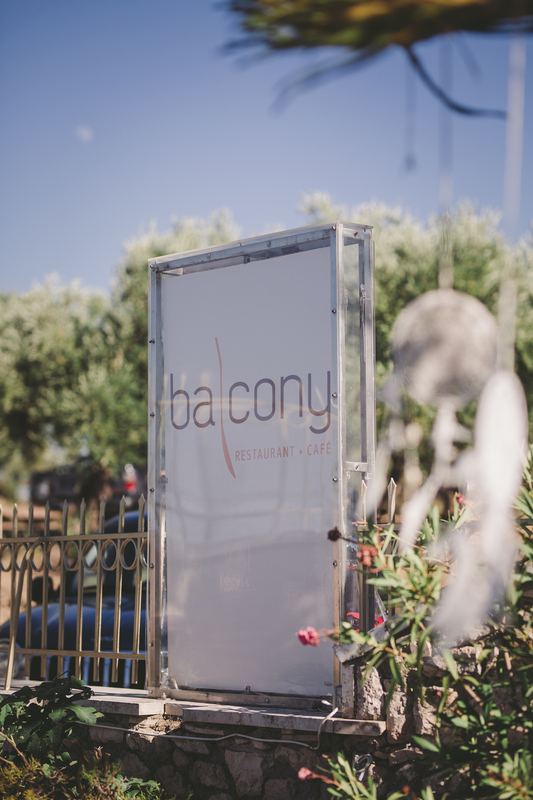 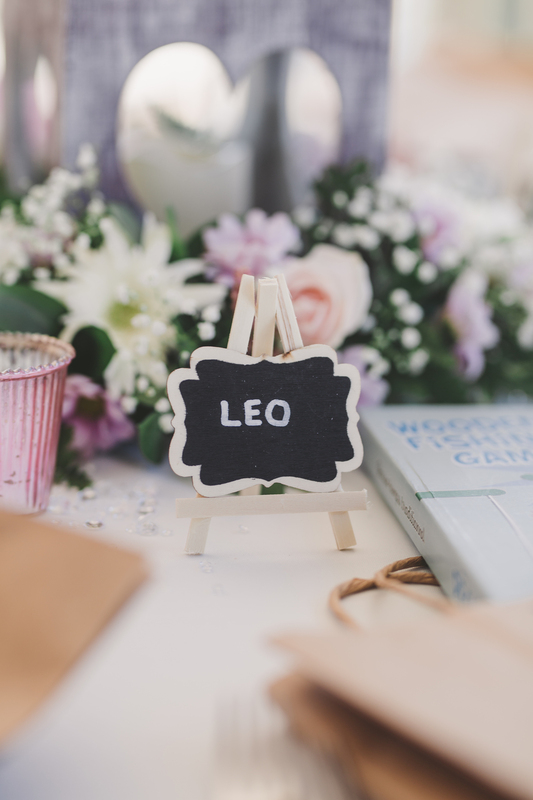 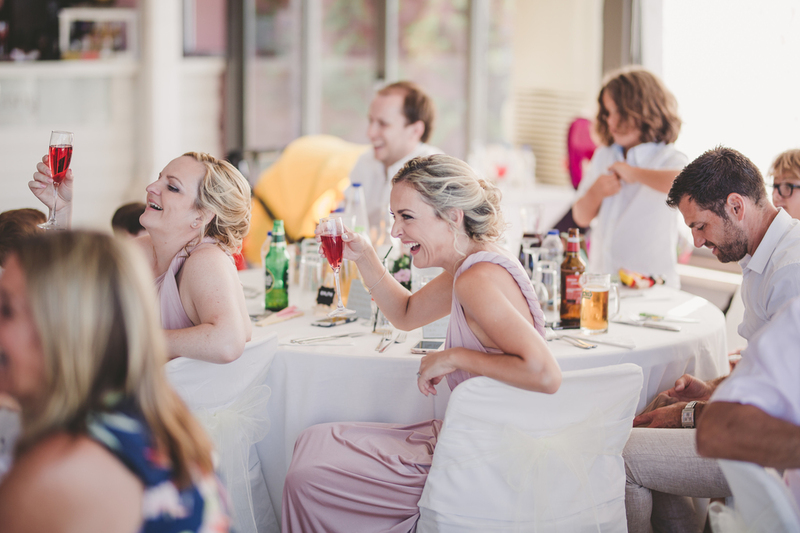 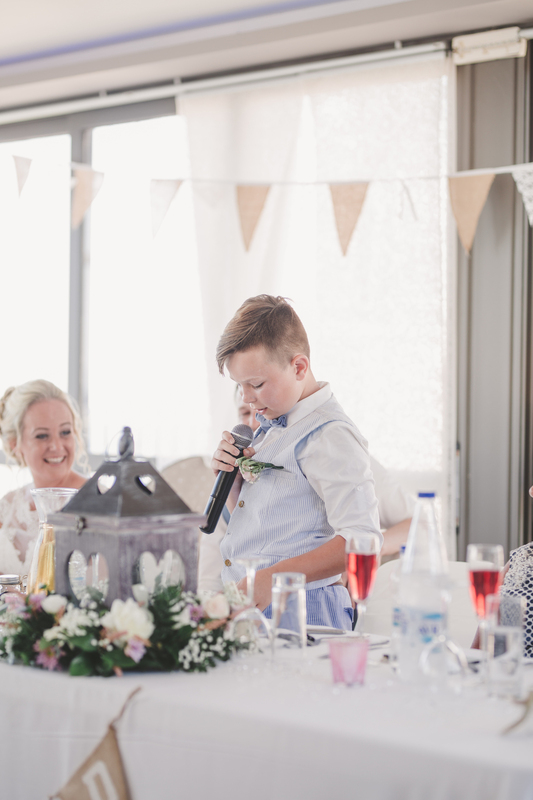 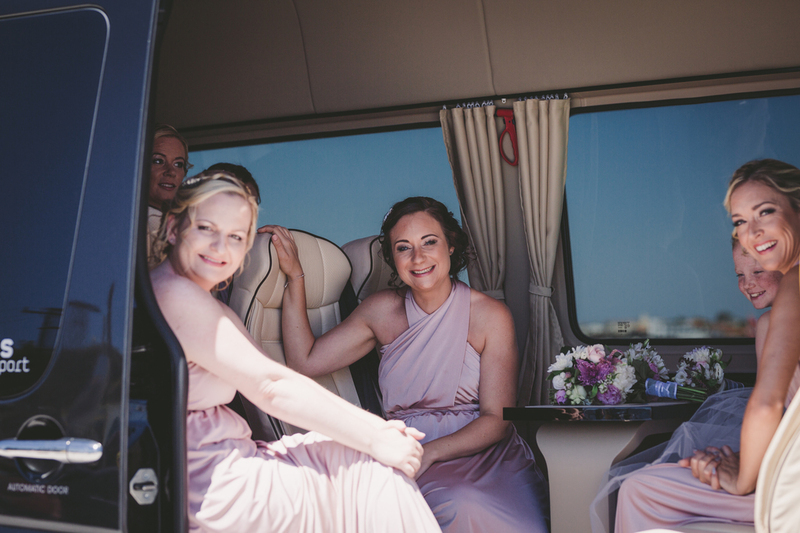 Their ethos is to capture the entire day, so that means Helen with the boys in the morning and Dani with the girls,right though till your guests leave so we can tell the full story of your day. 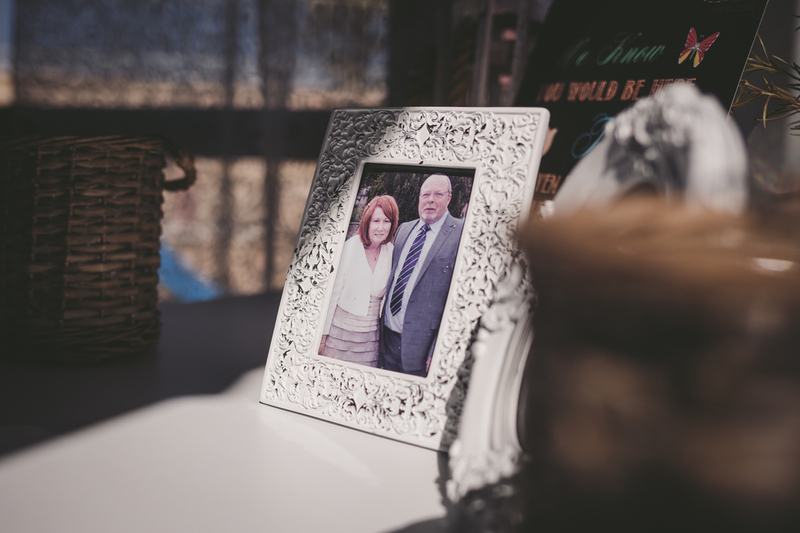 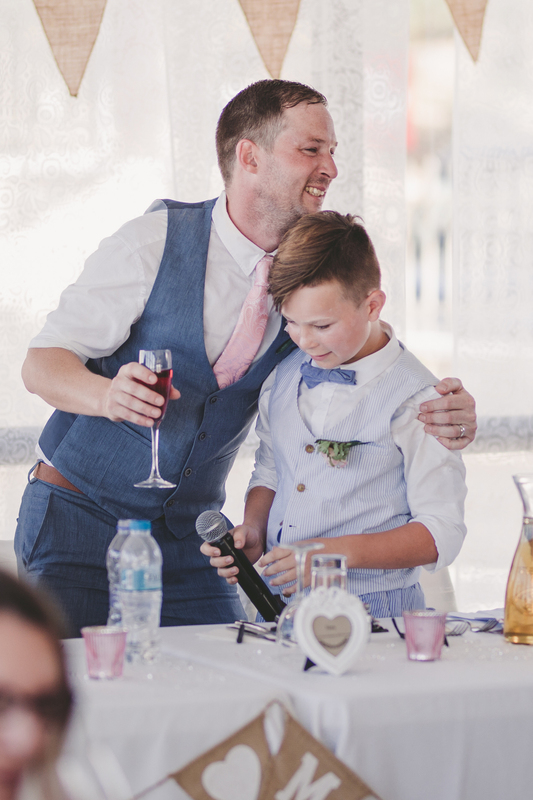 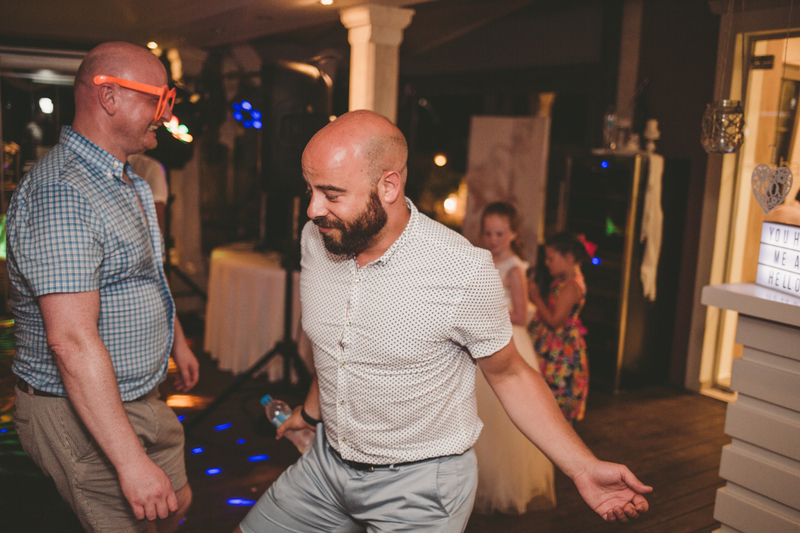 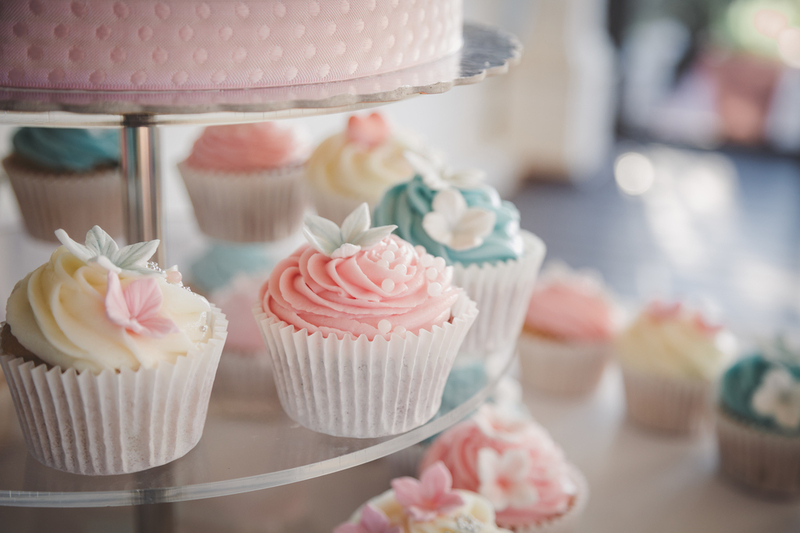 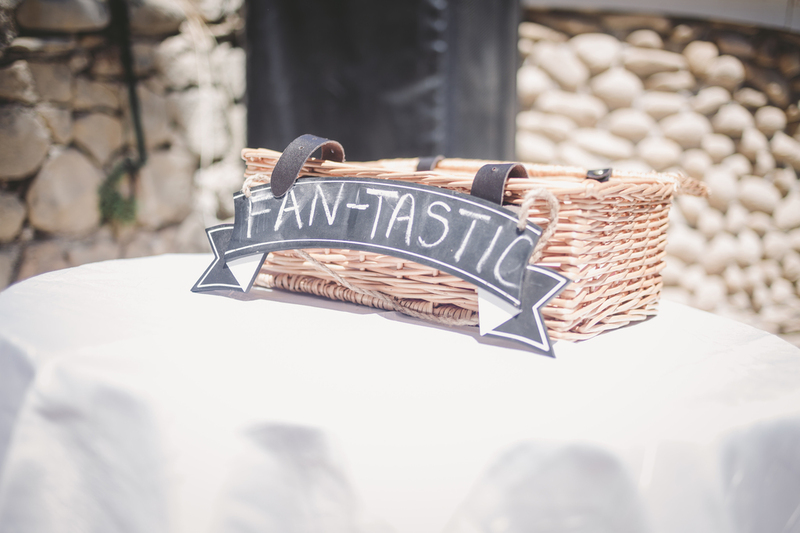 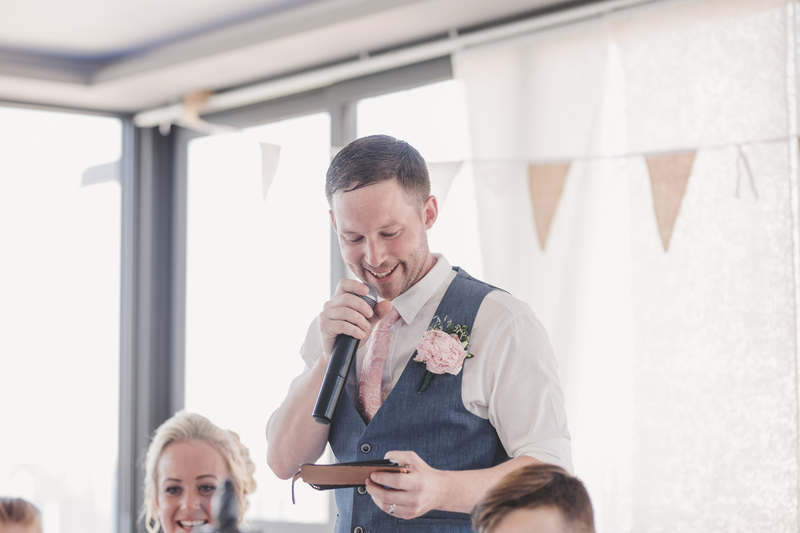 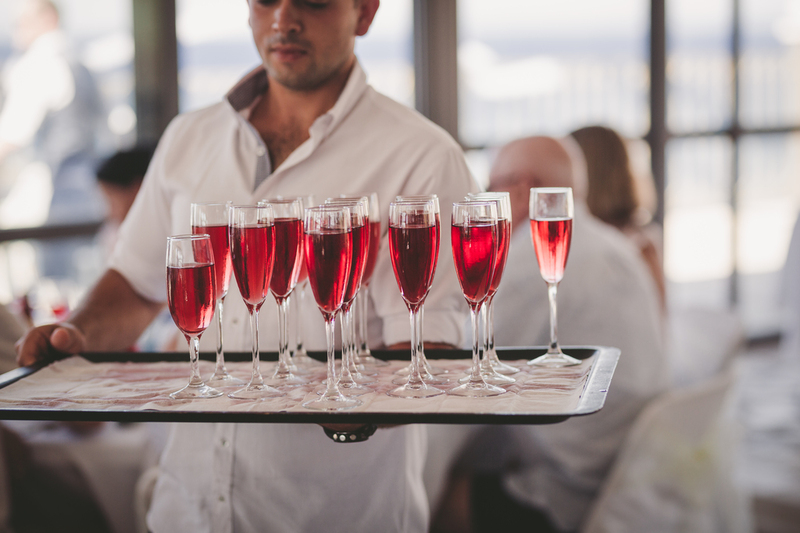 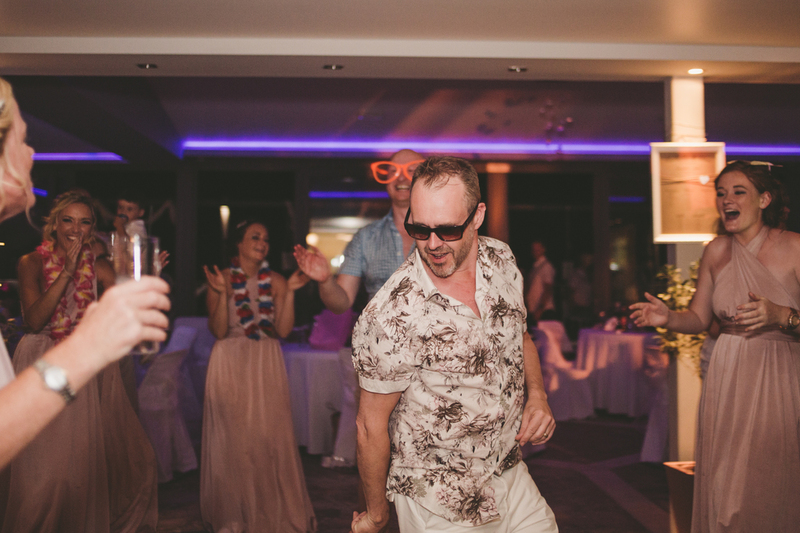 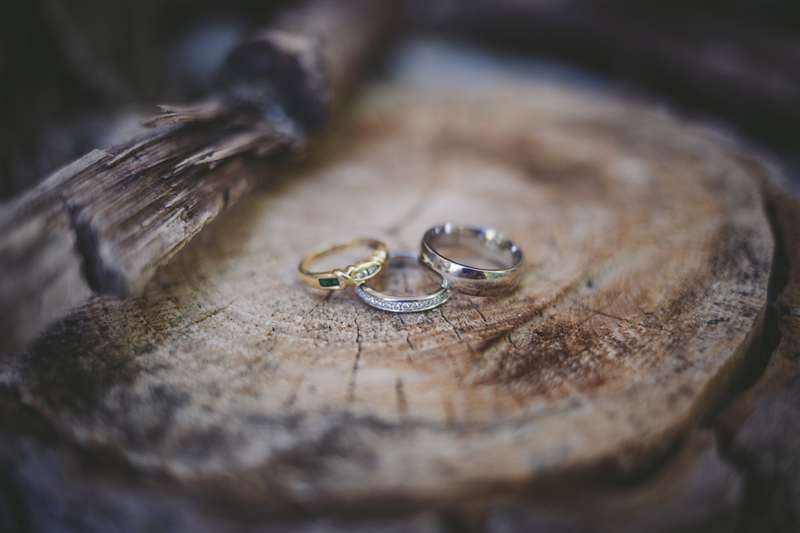 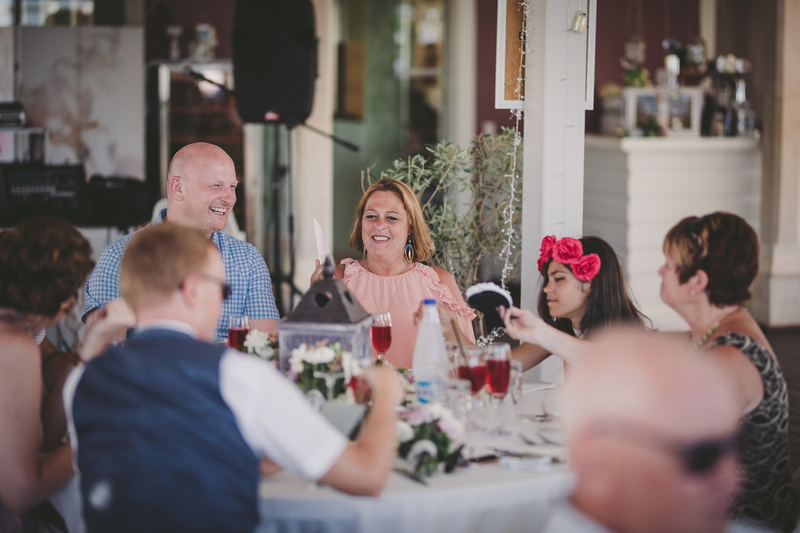 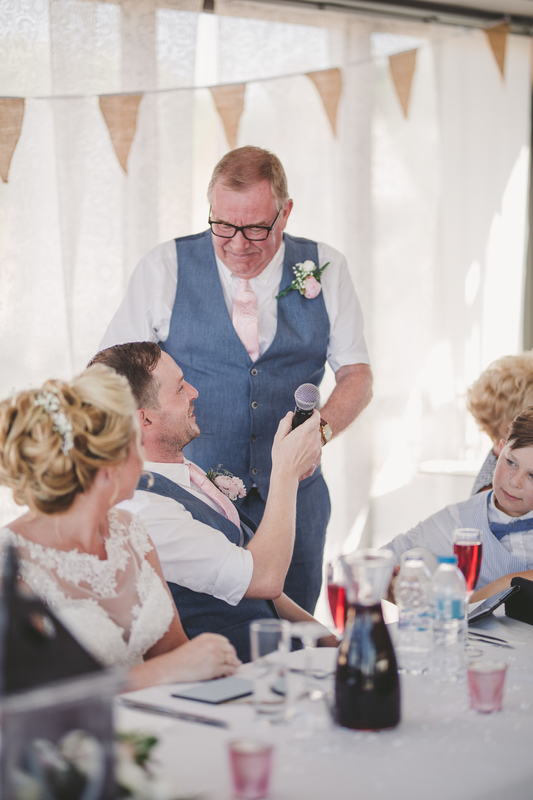 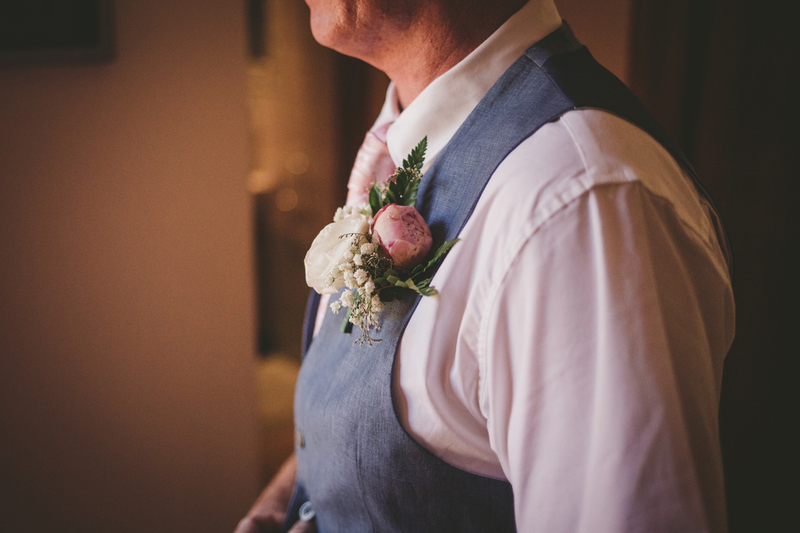 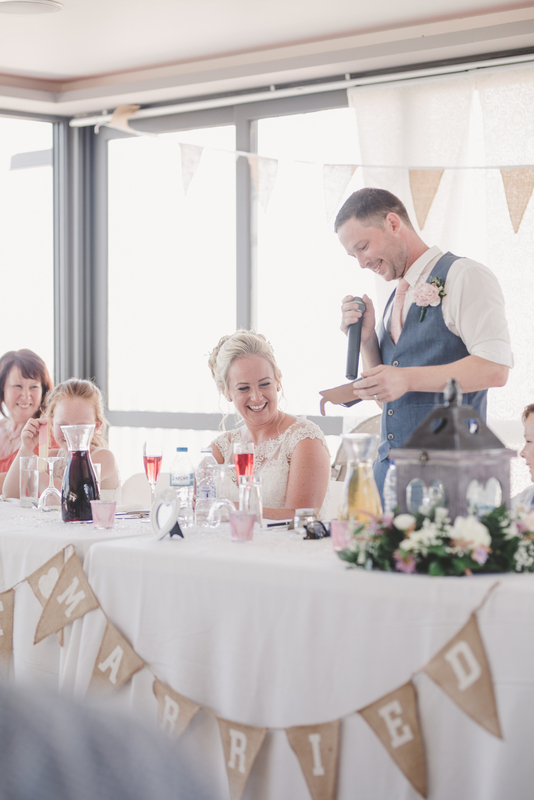 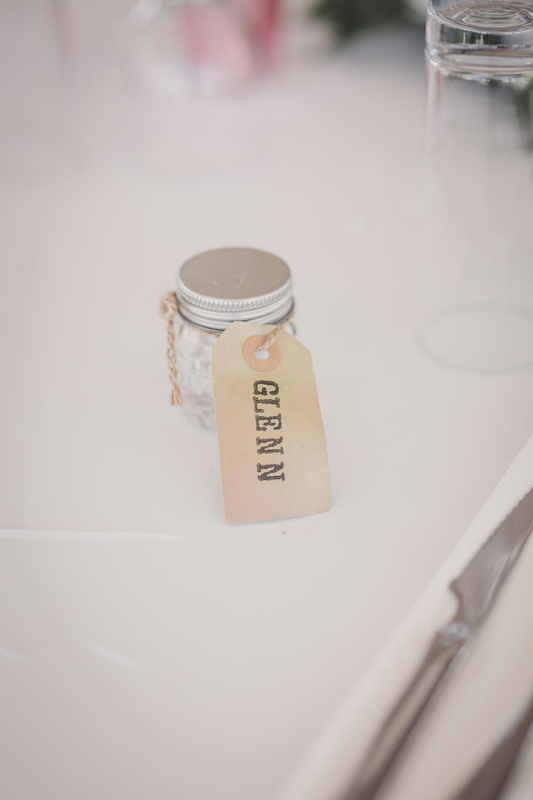 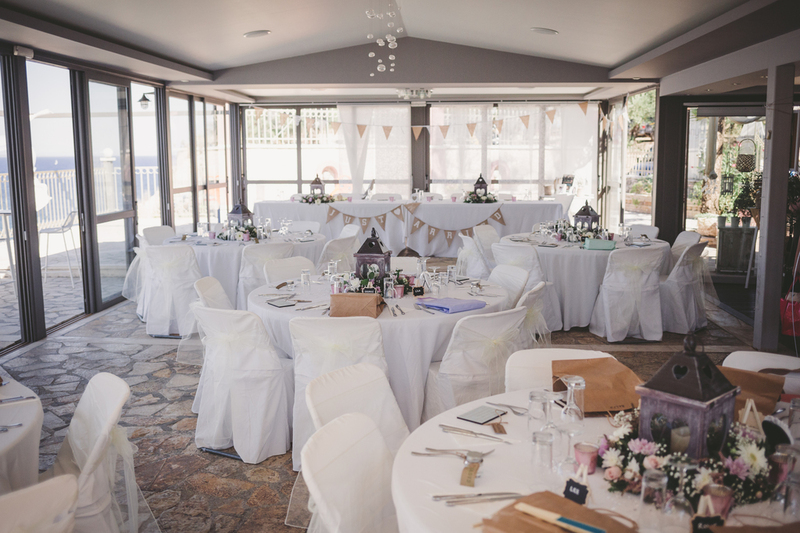 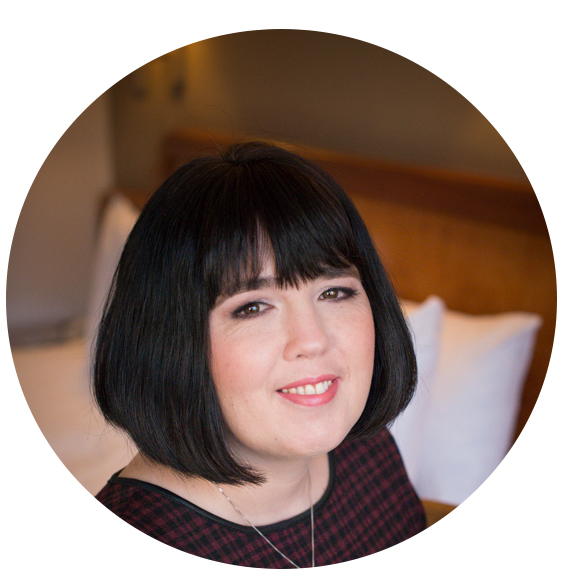 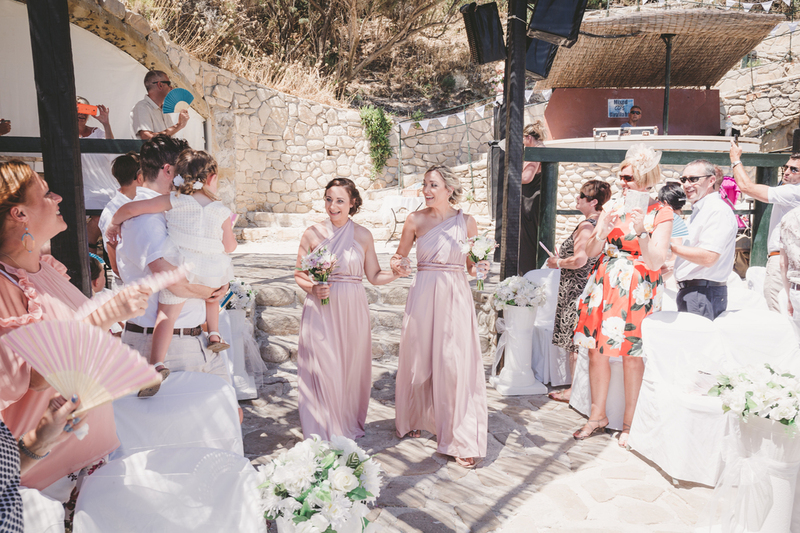 “It truly was an amazing day, we had to approach the whole planning aspect very differently – google was our friend! 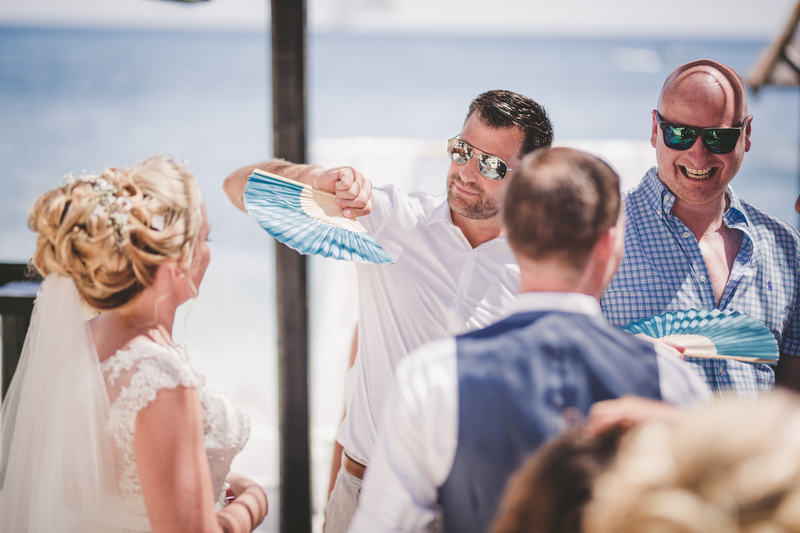 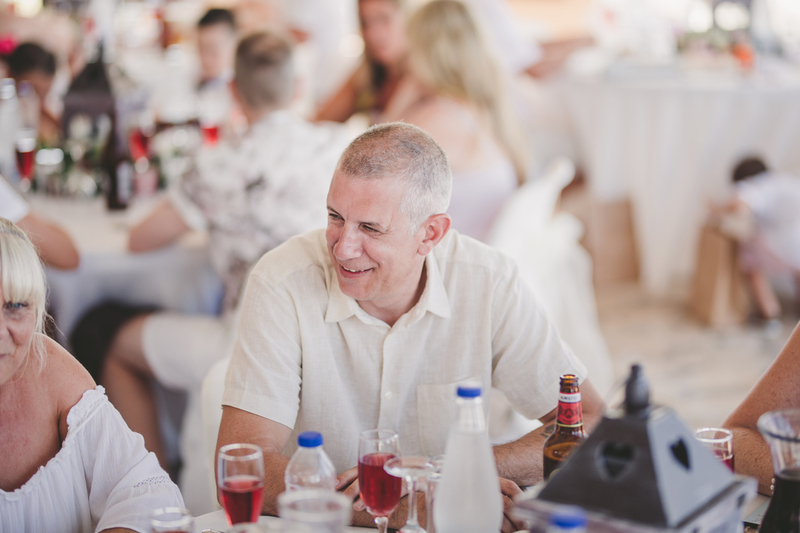 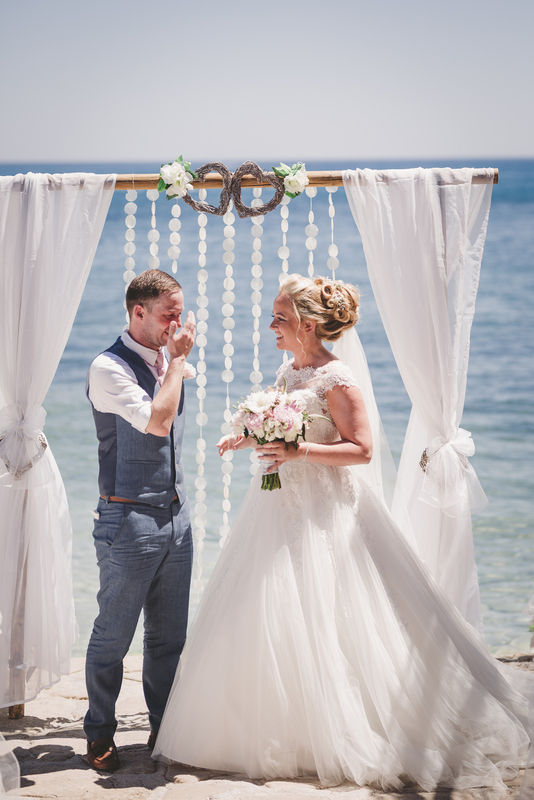 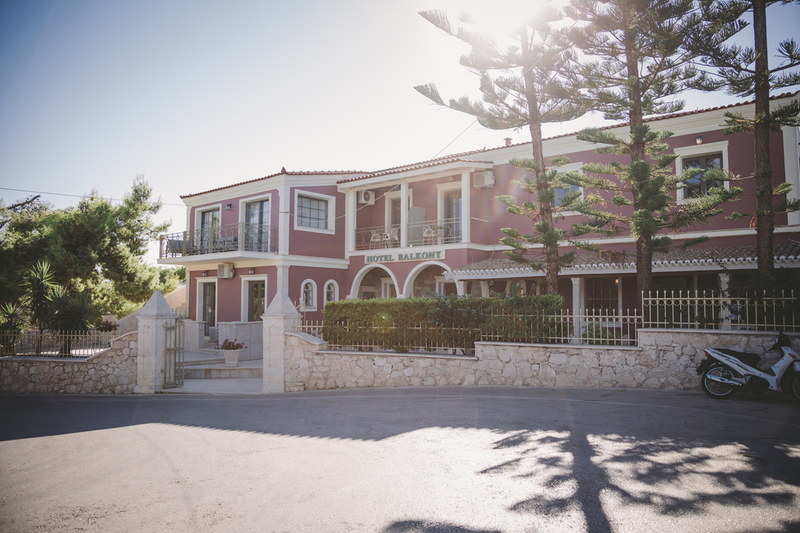 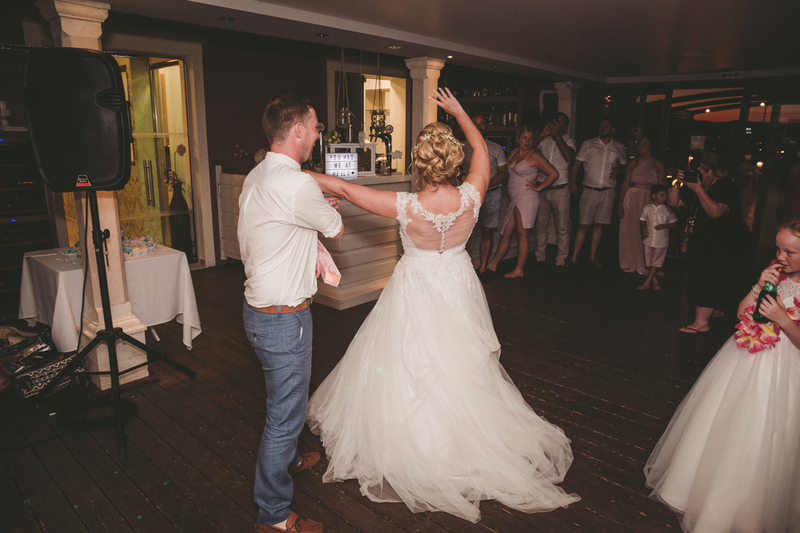 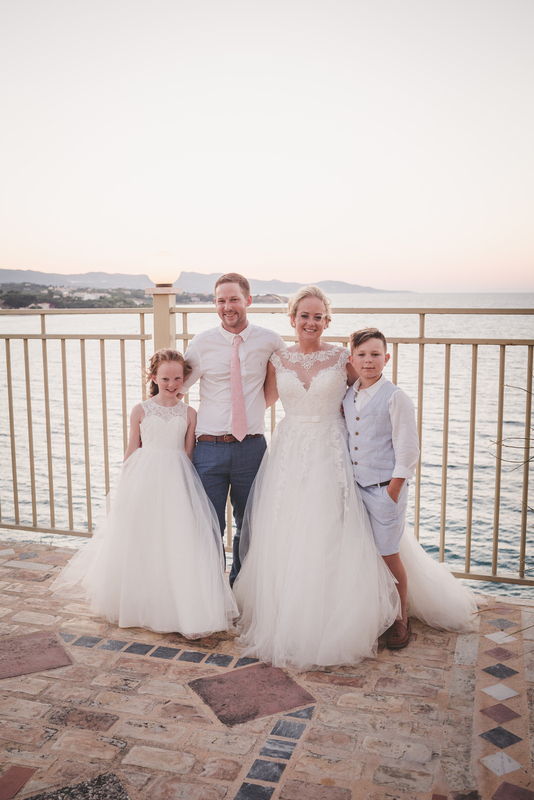 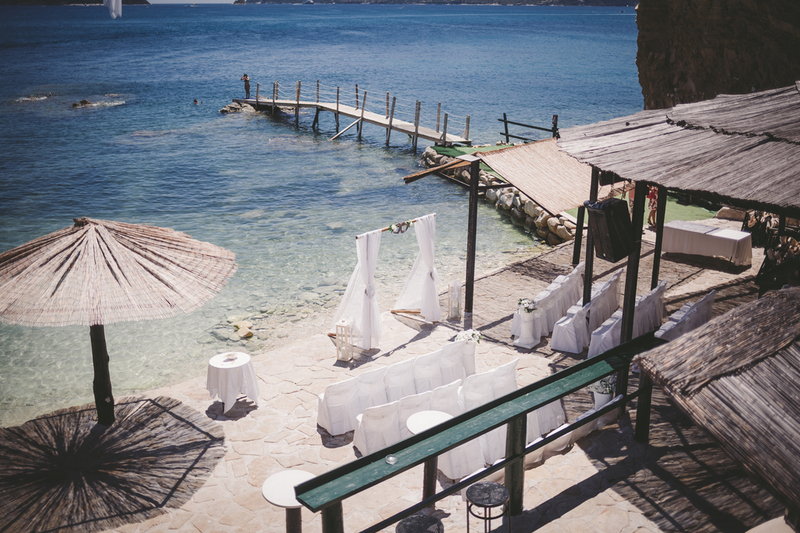 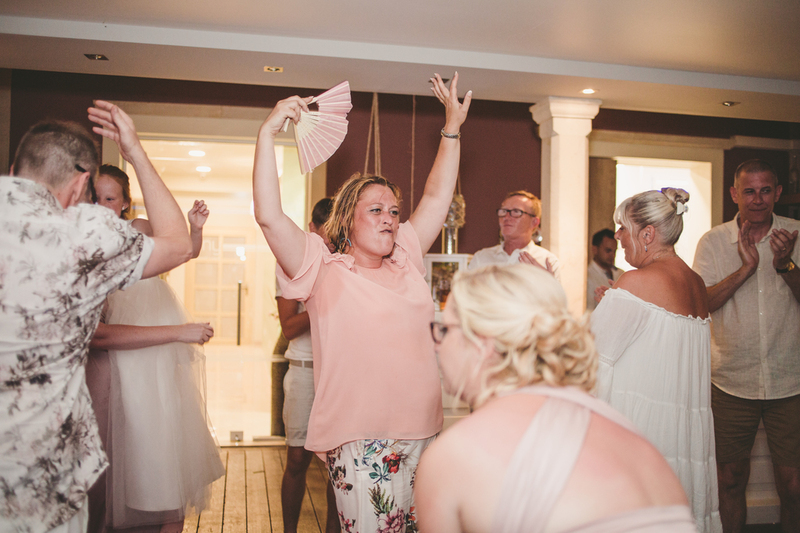 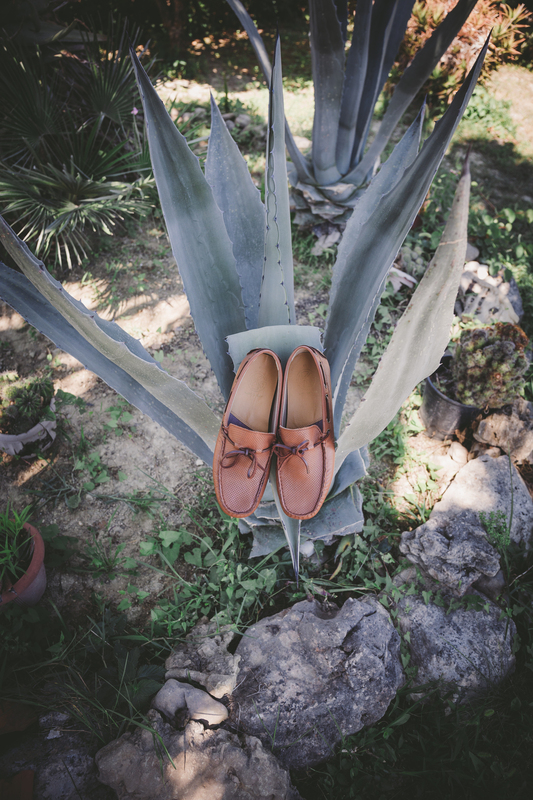 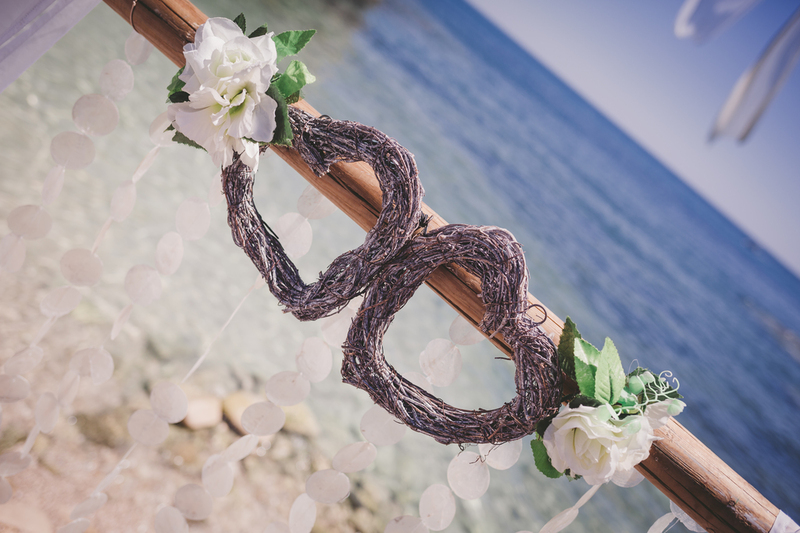 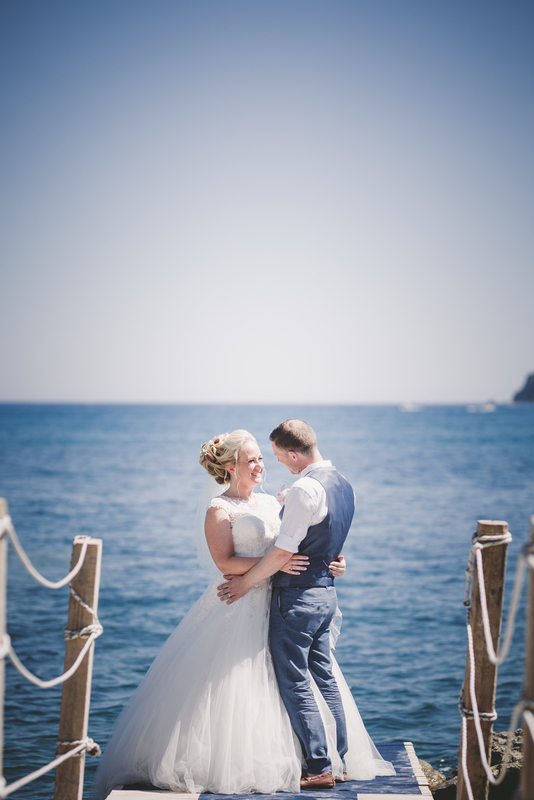 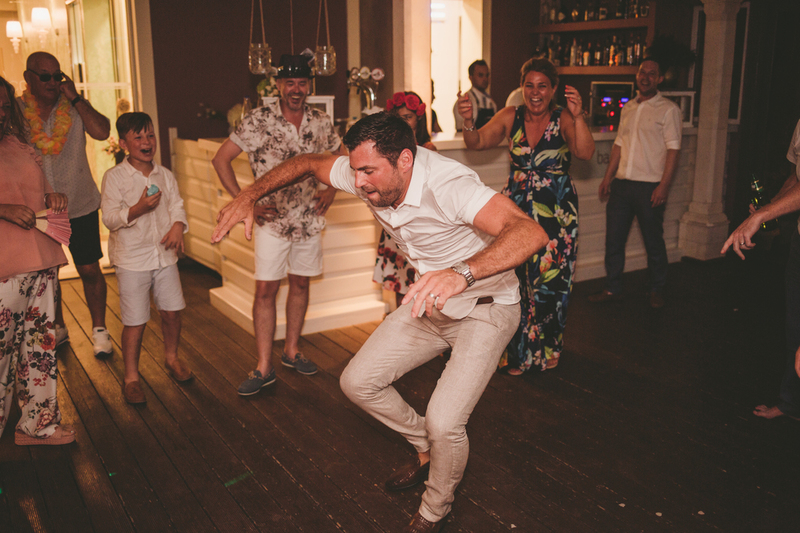 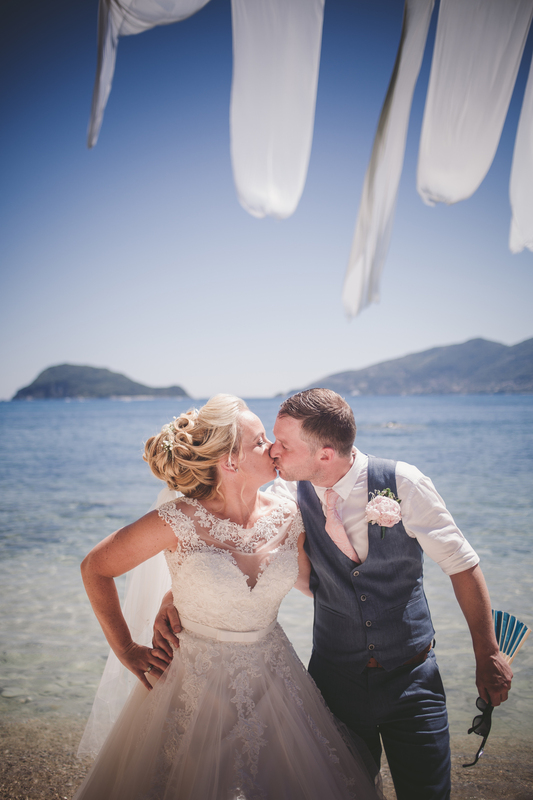 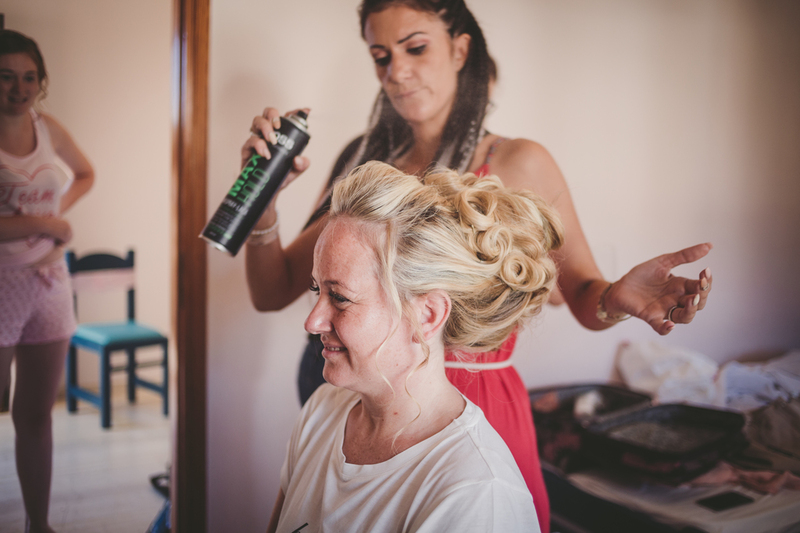 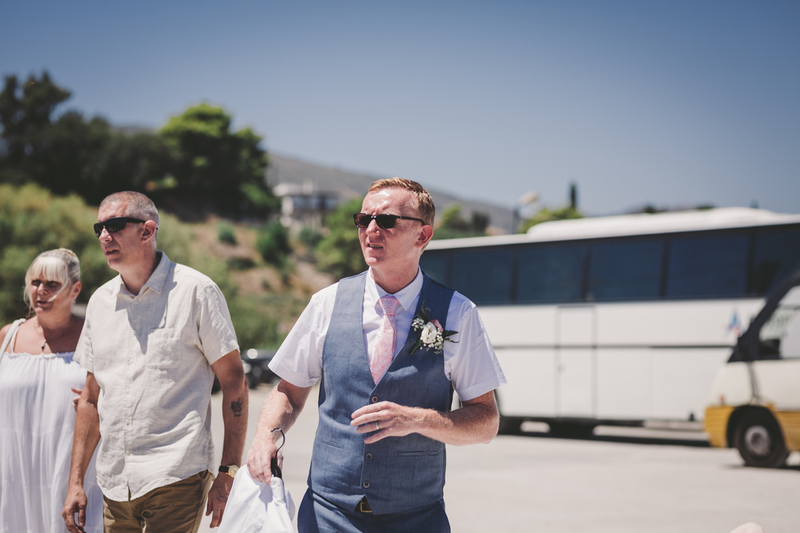 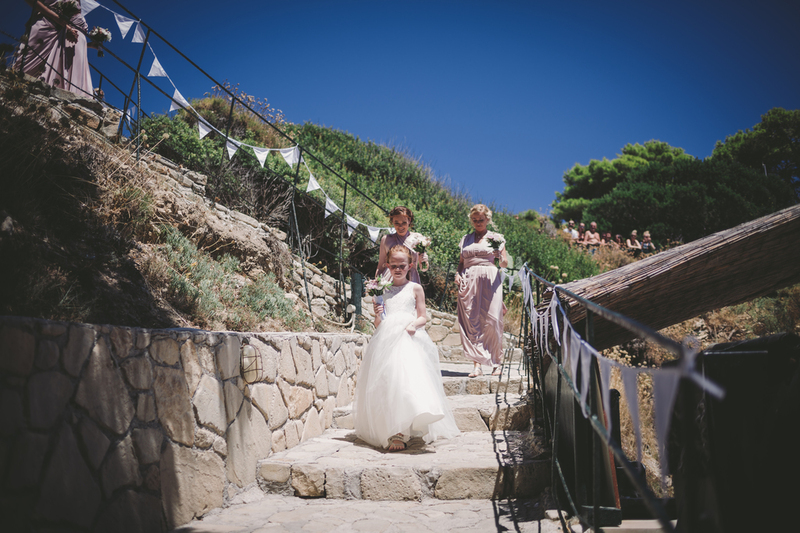 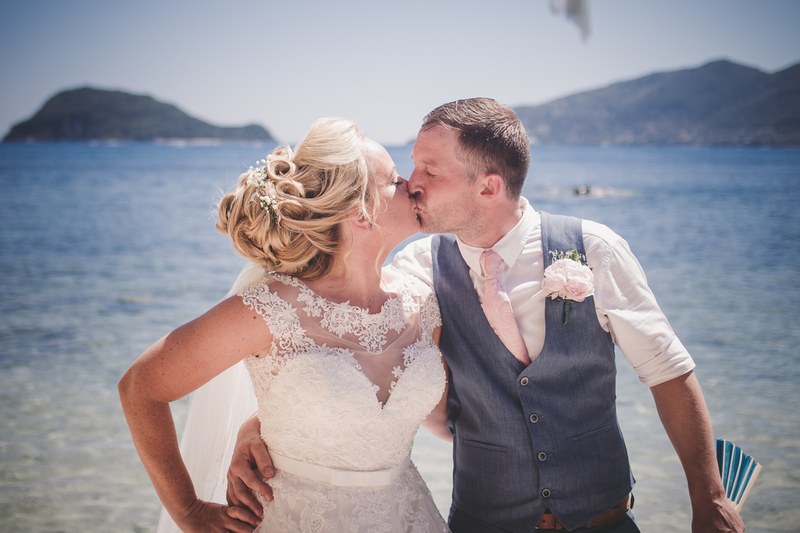 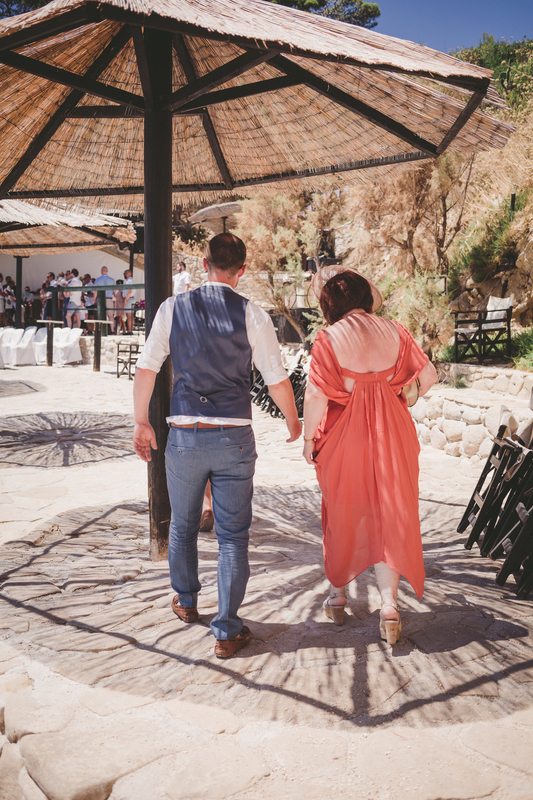 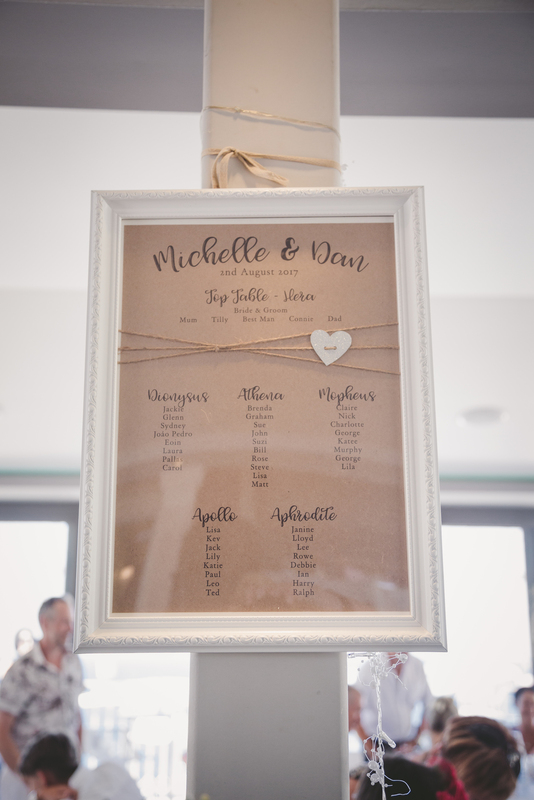 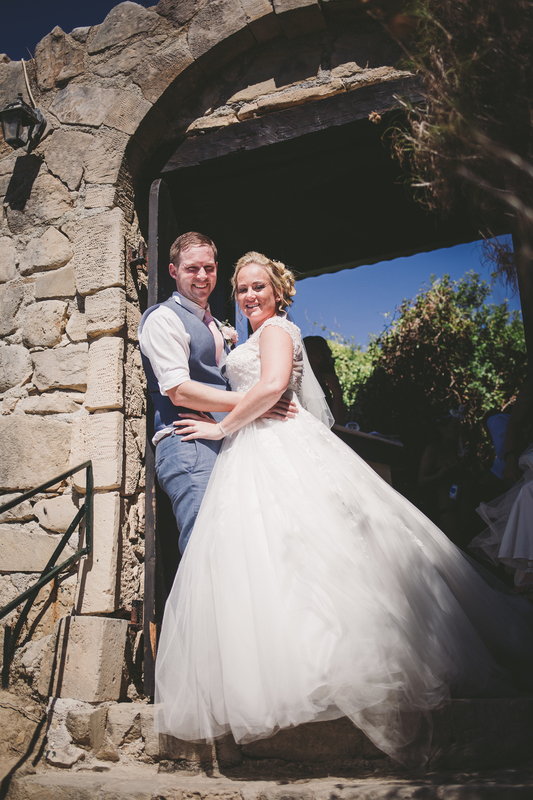 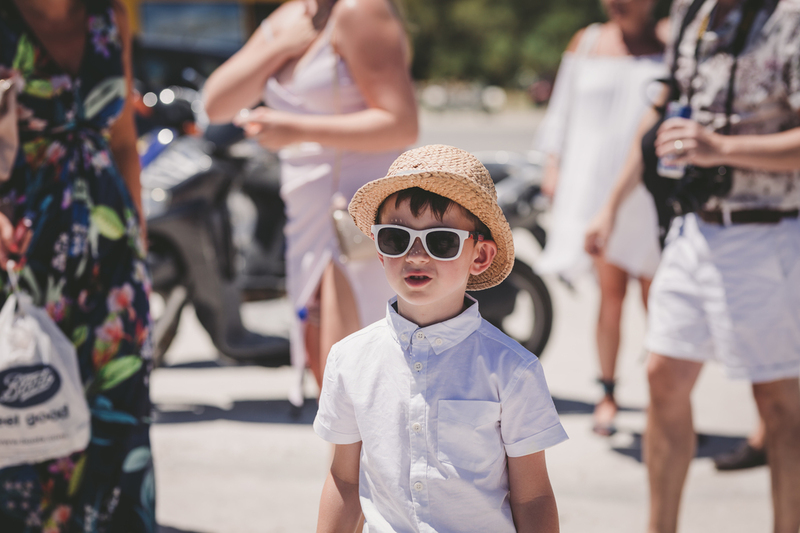 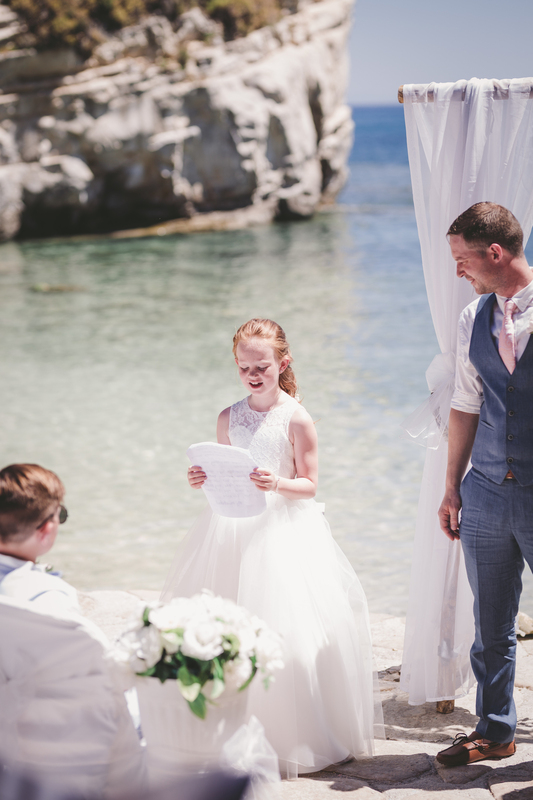 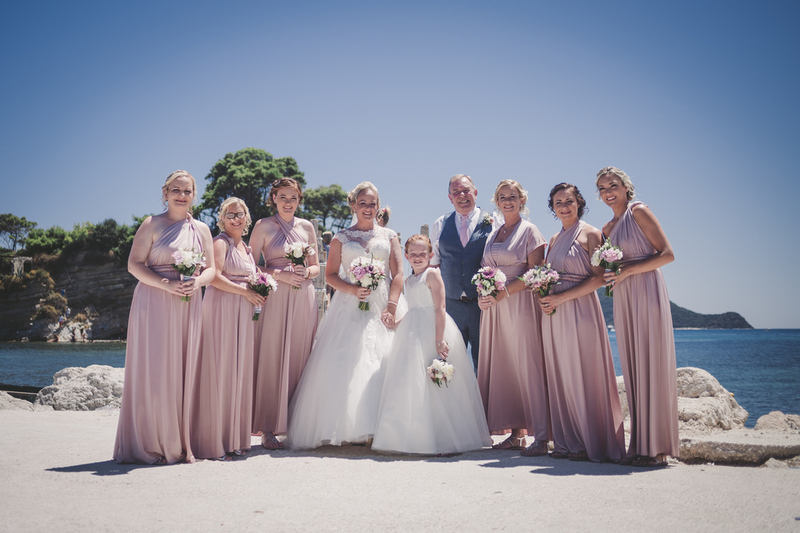 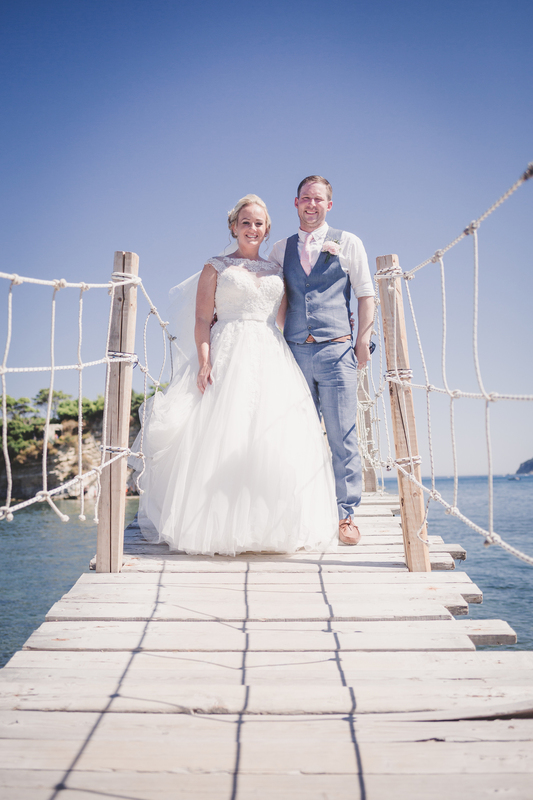 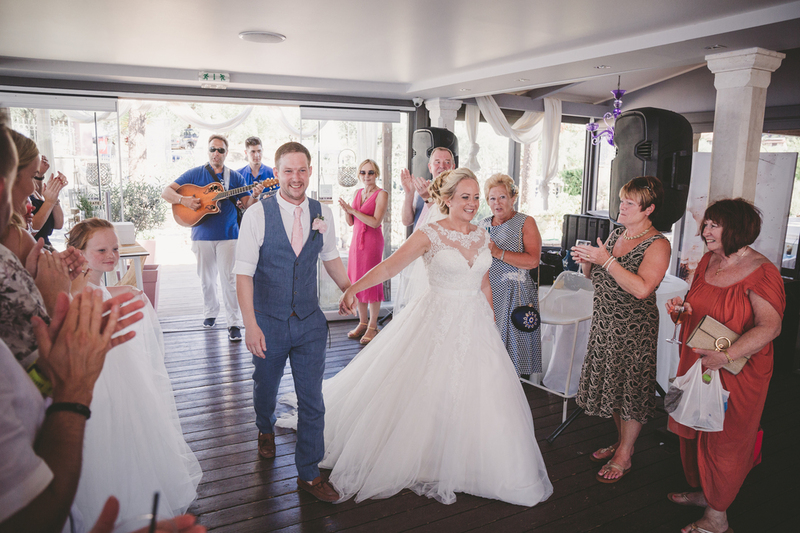 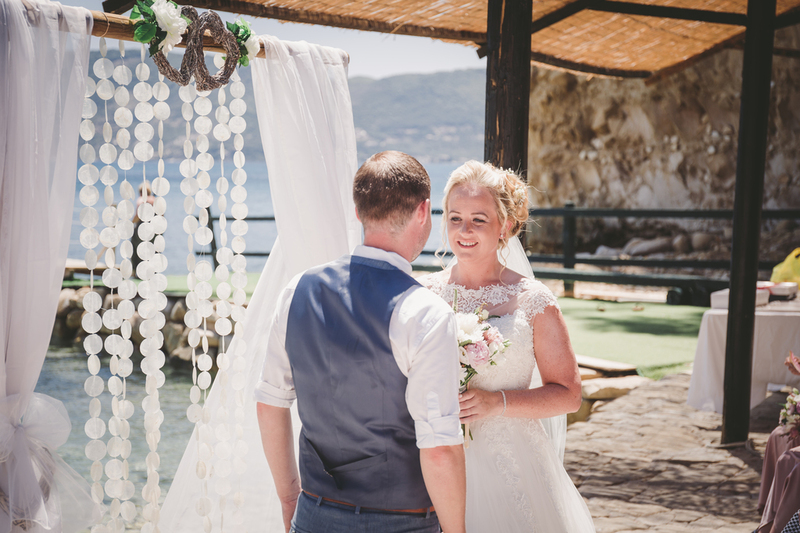 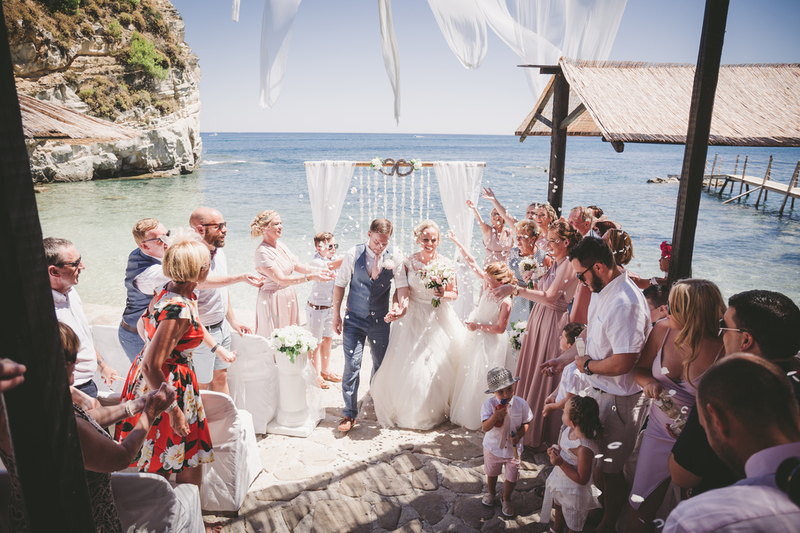 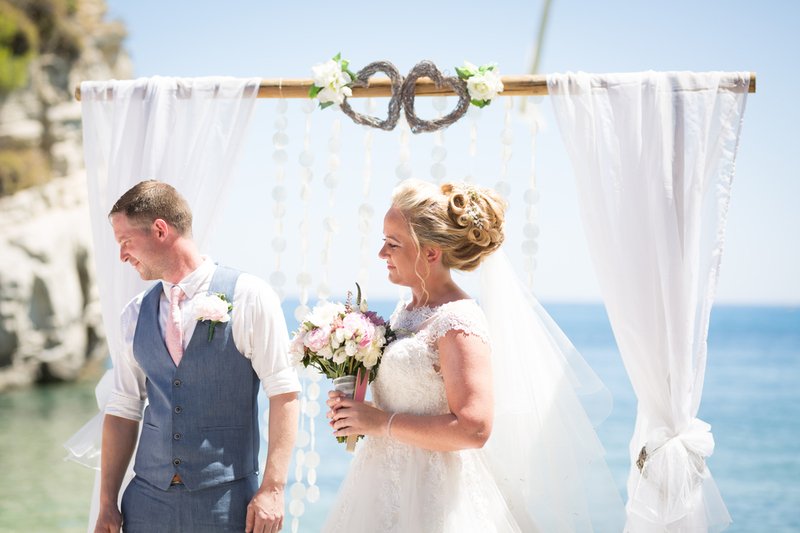 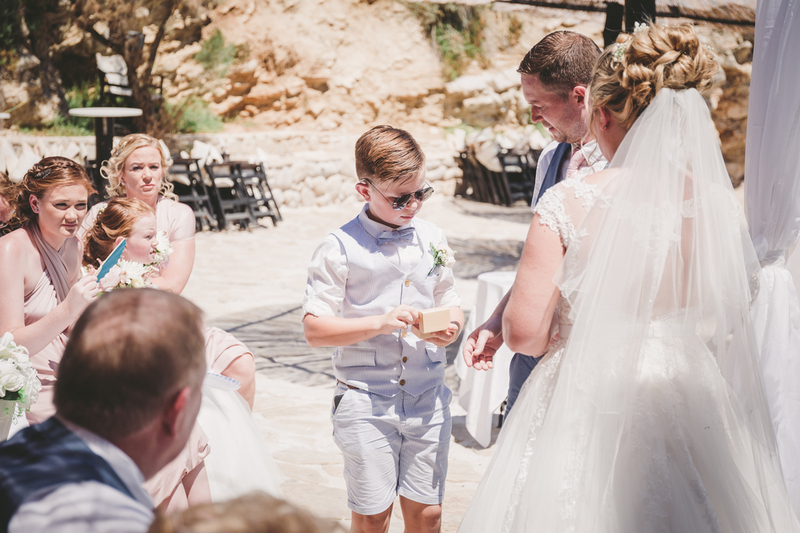 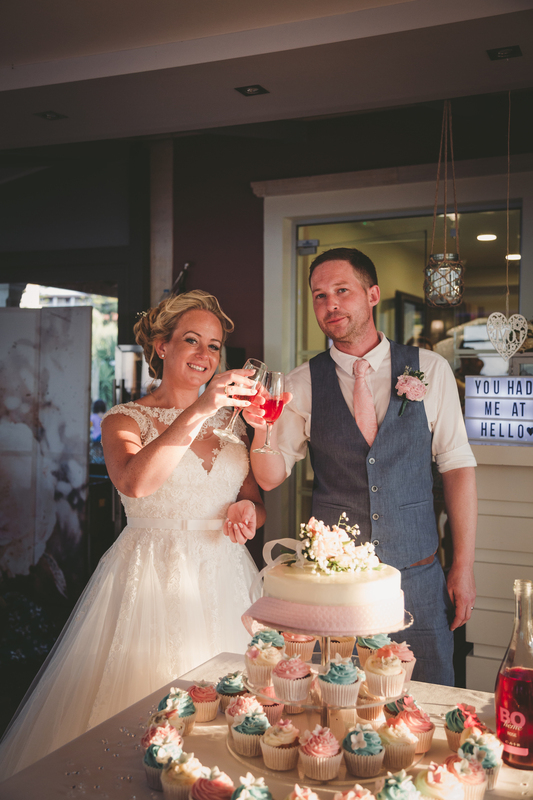 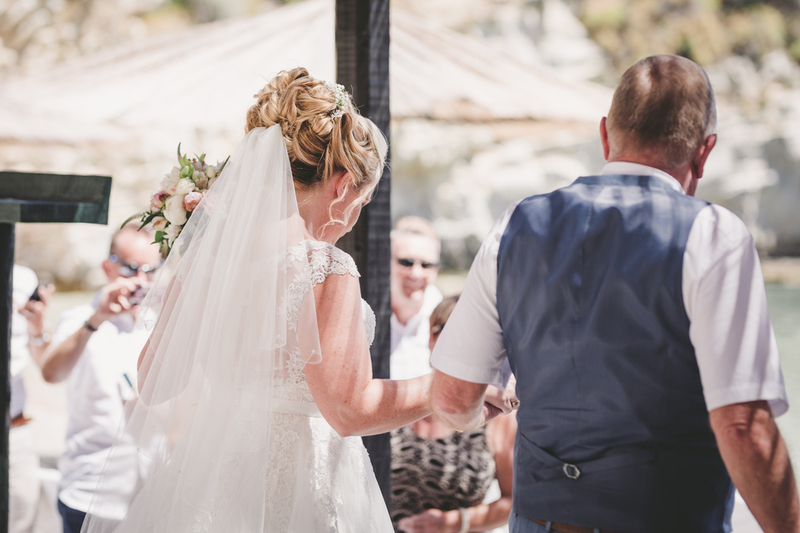 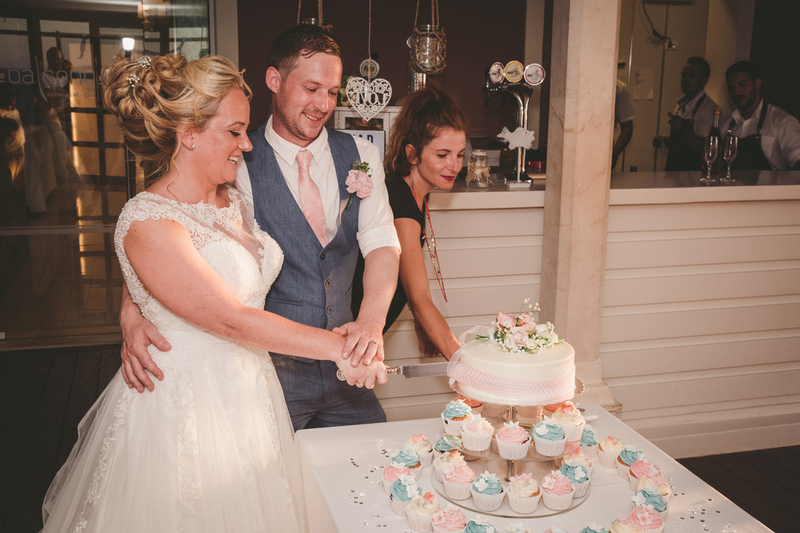 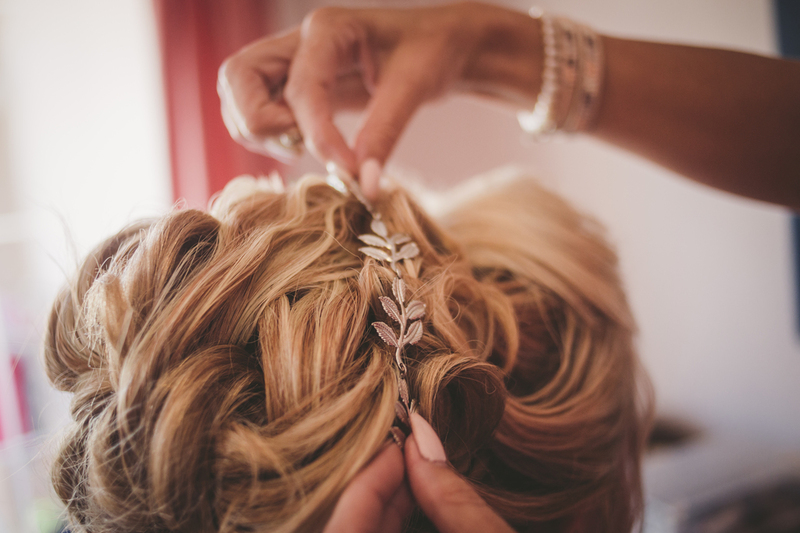 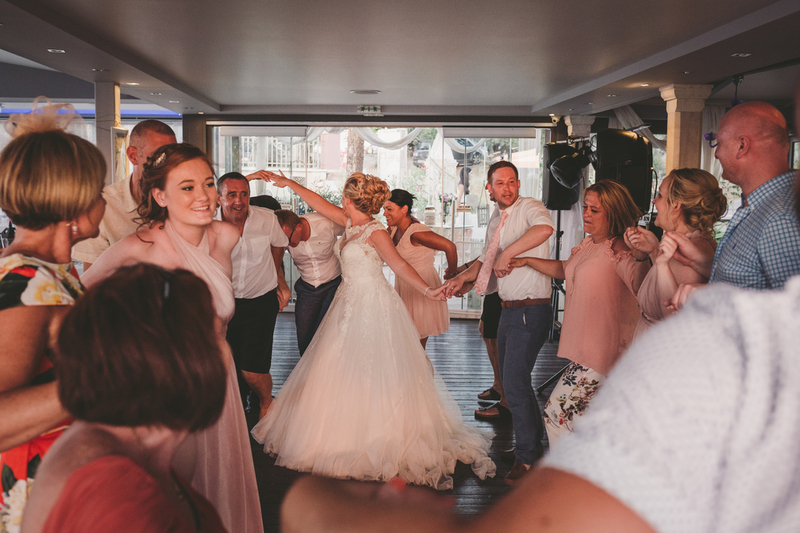 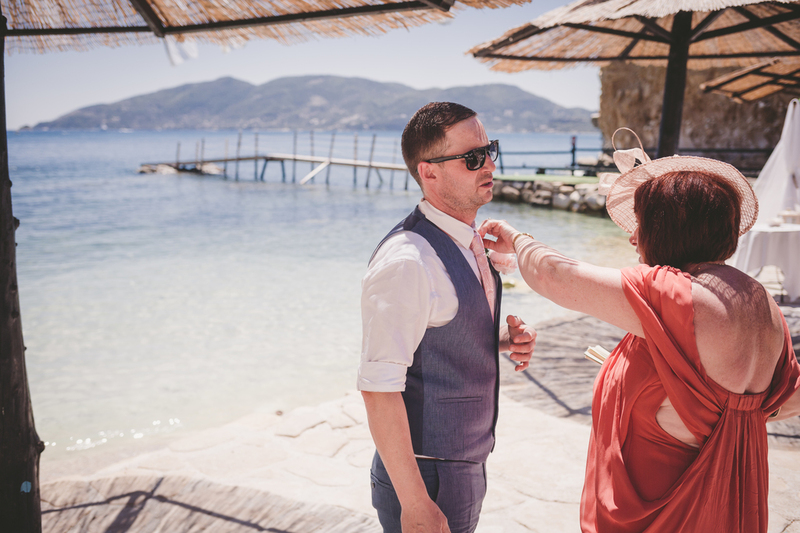 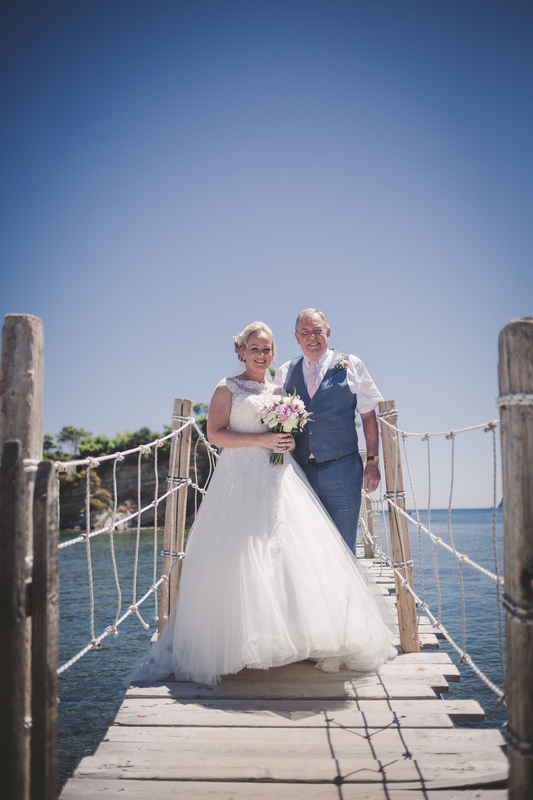 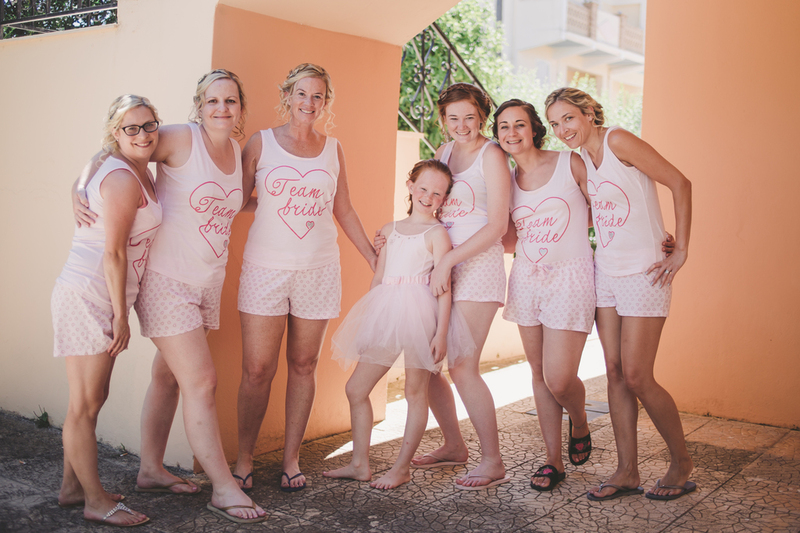 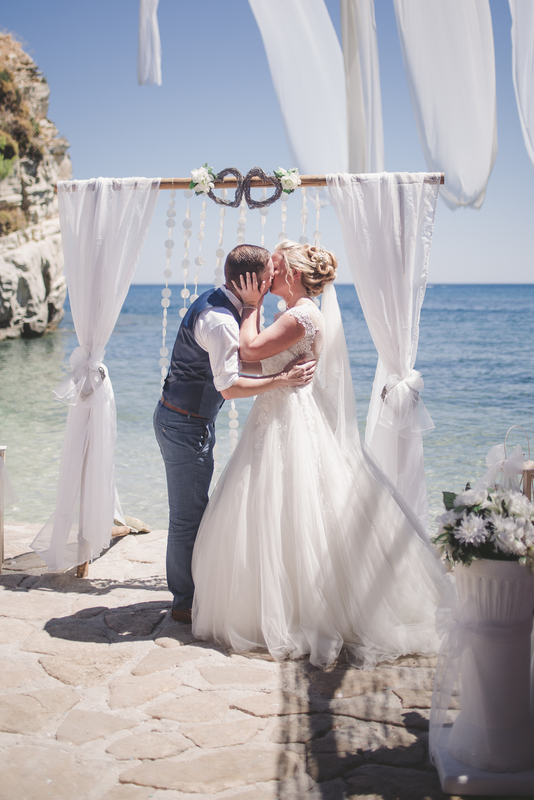 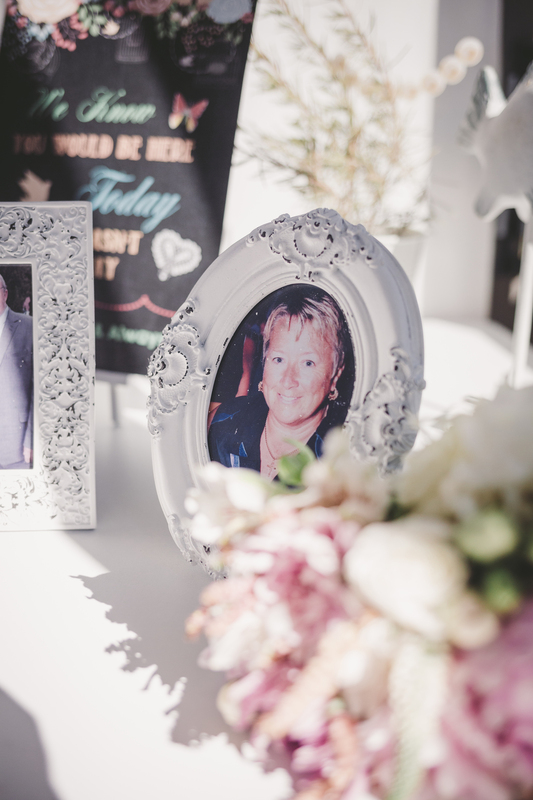 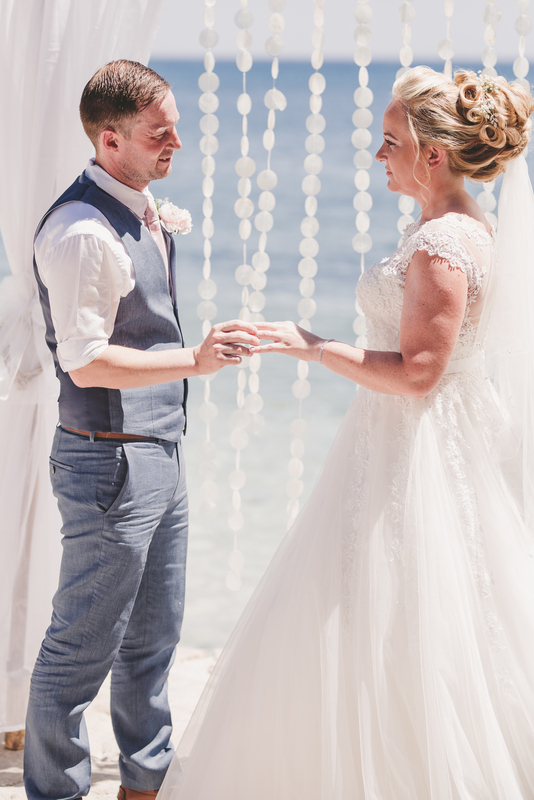 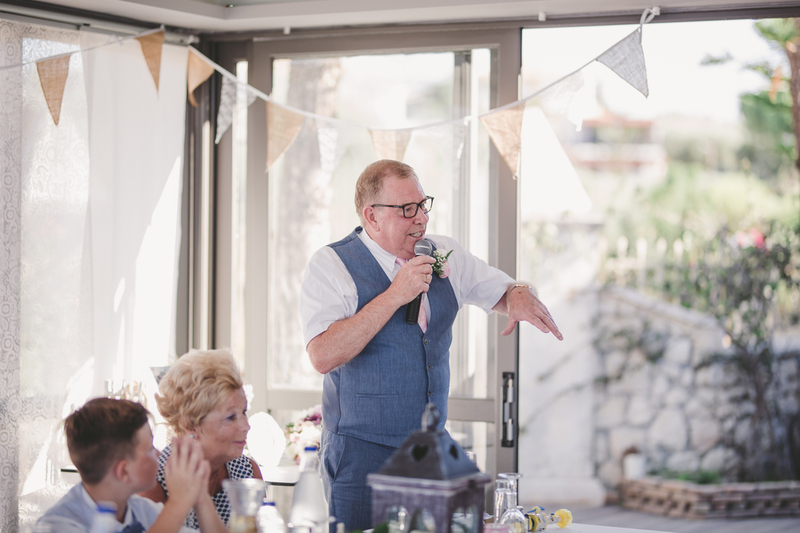 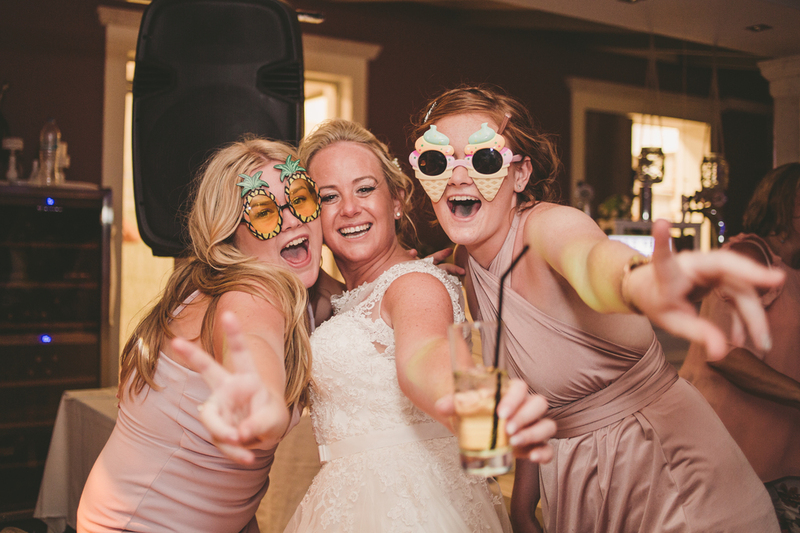 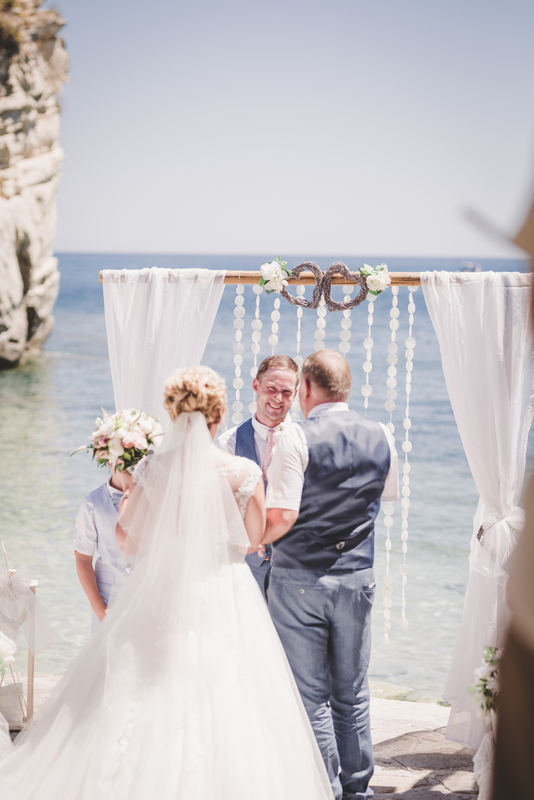 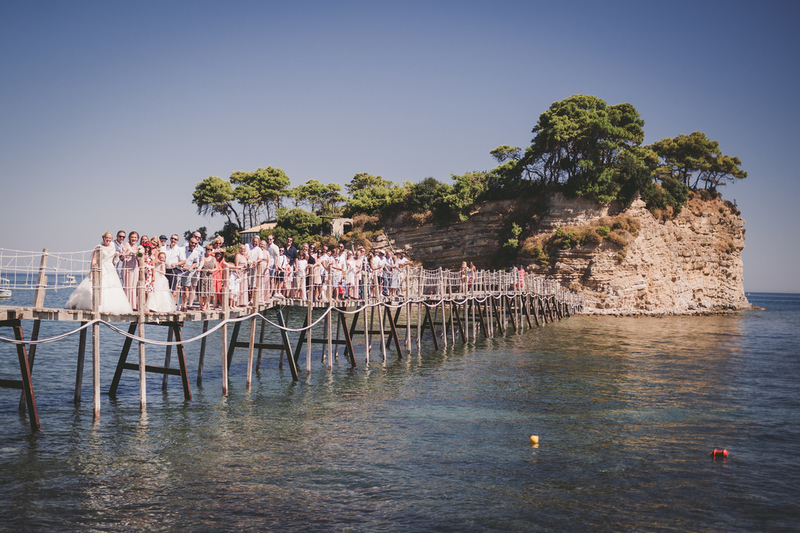 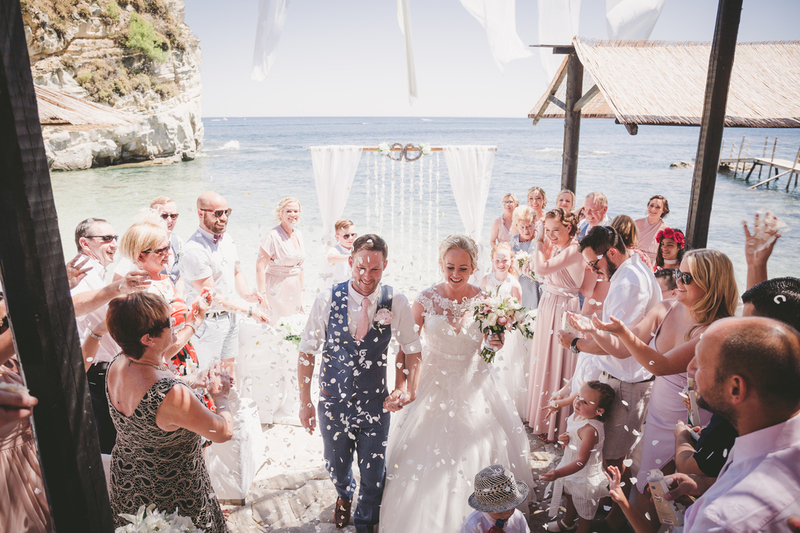 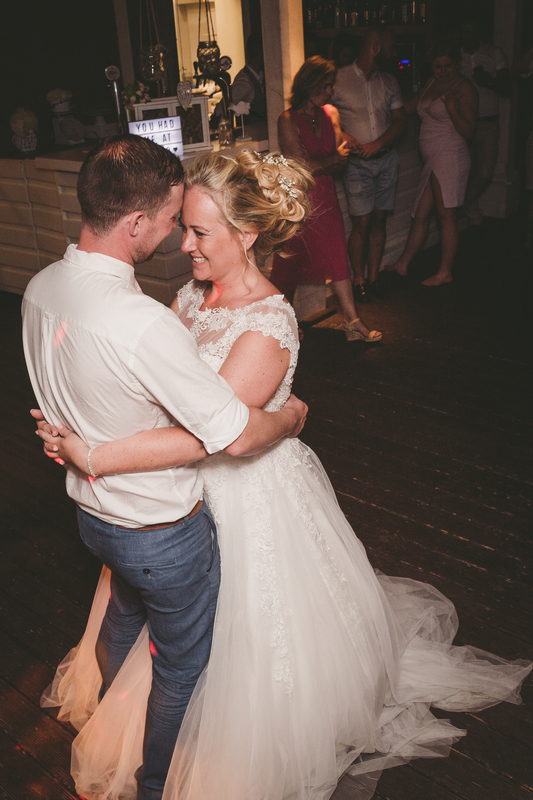 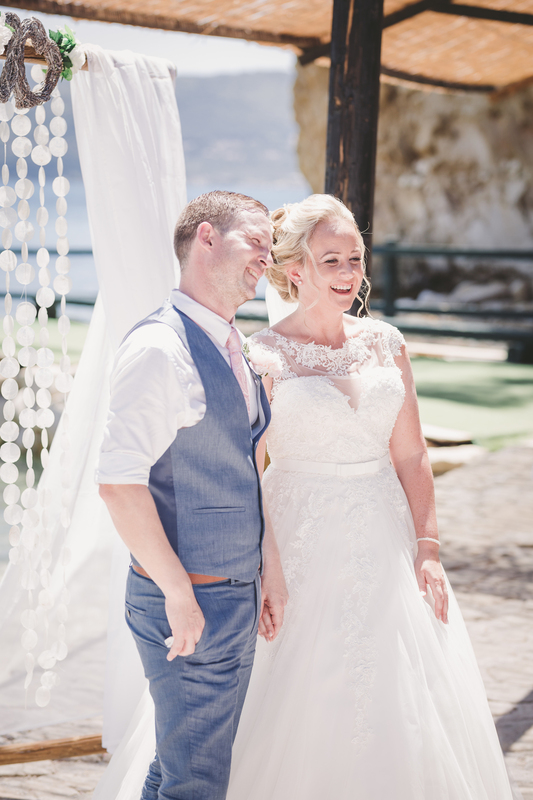 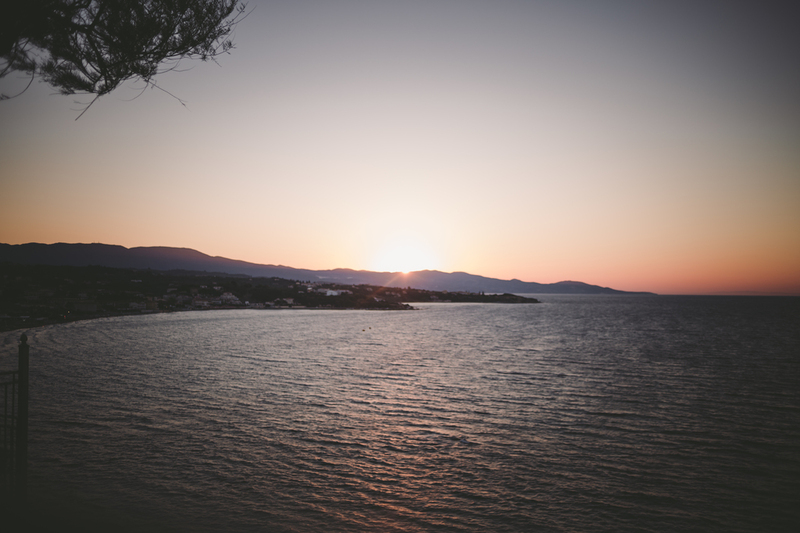 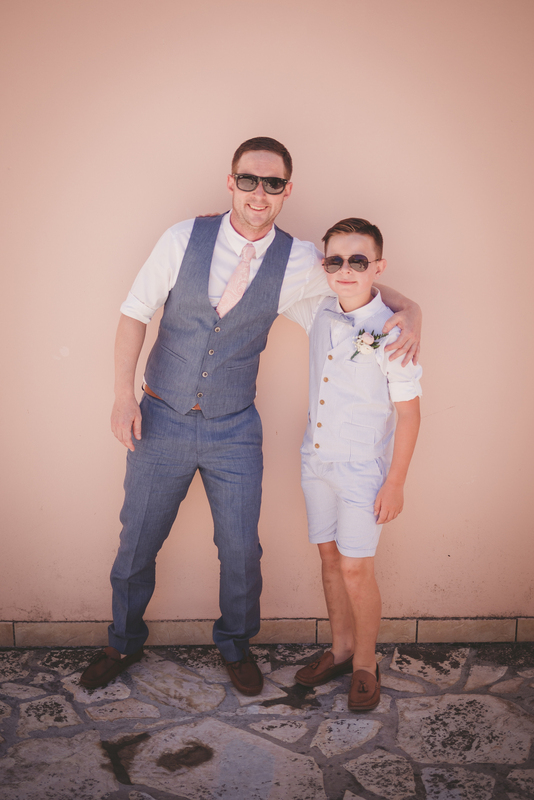 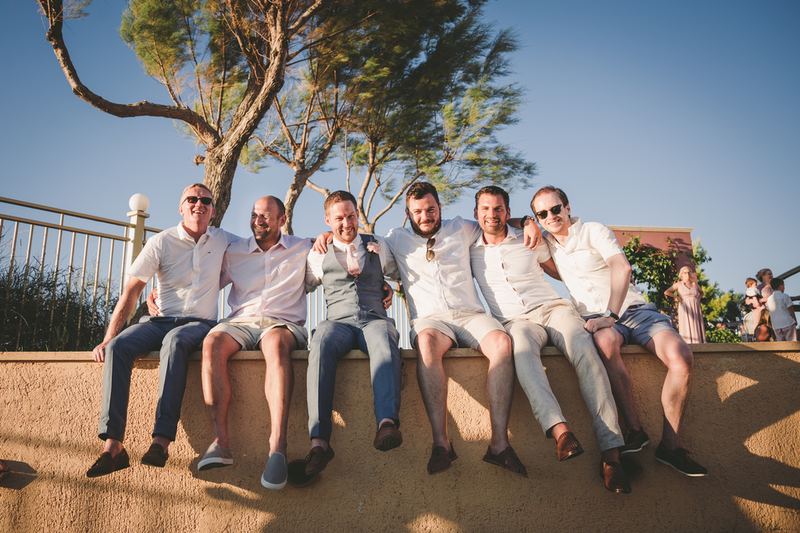 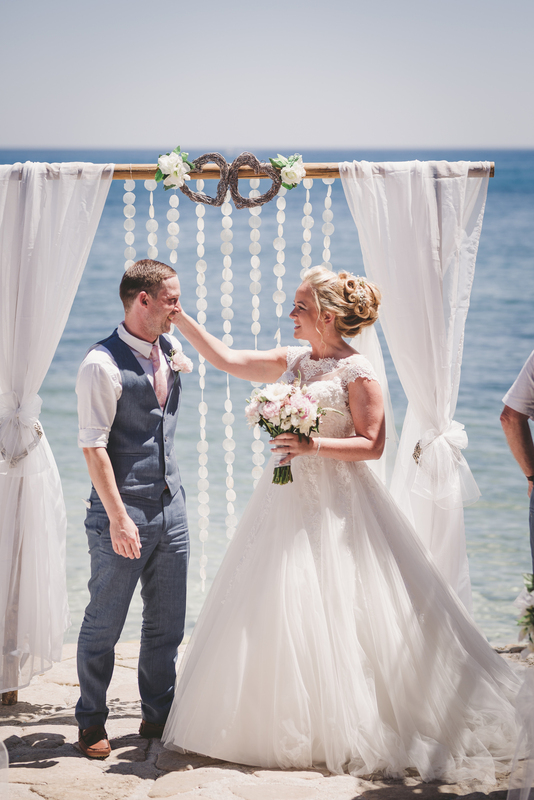 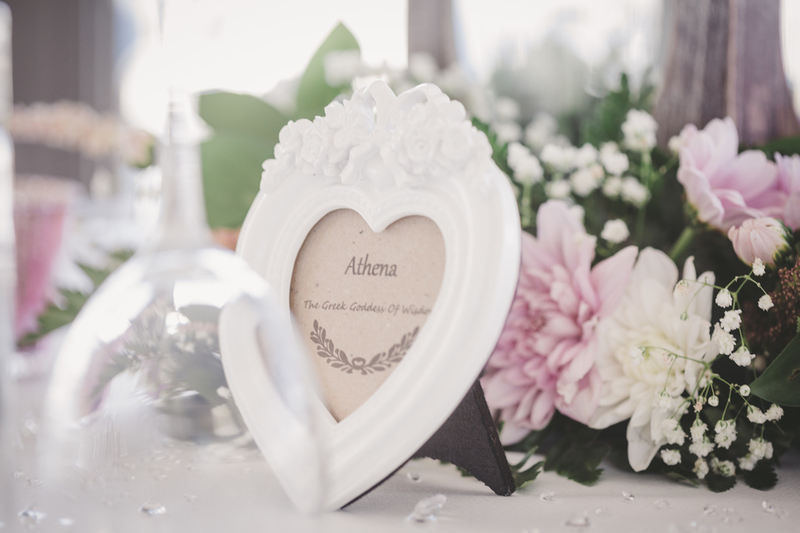 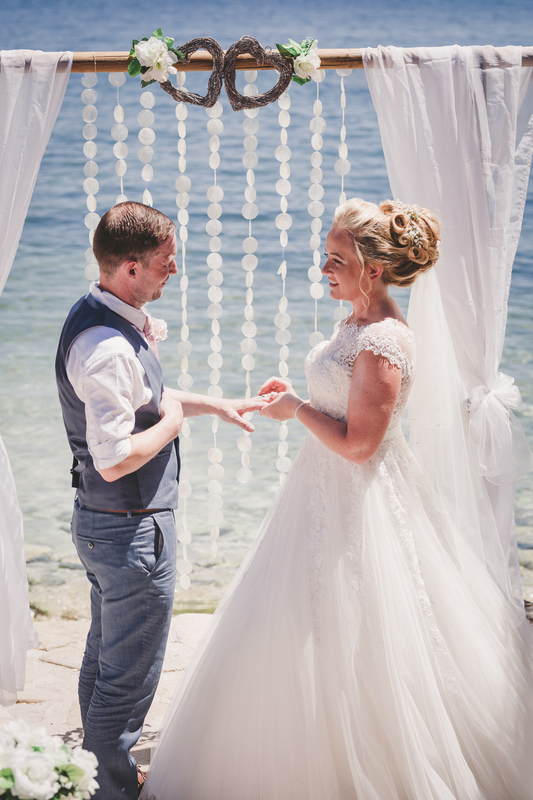 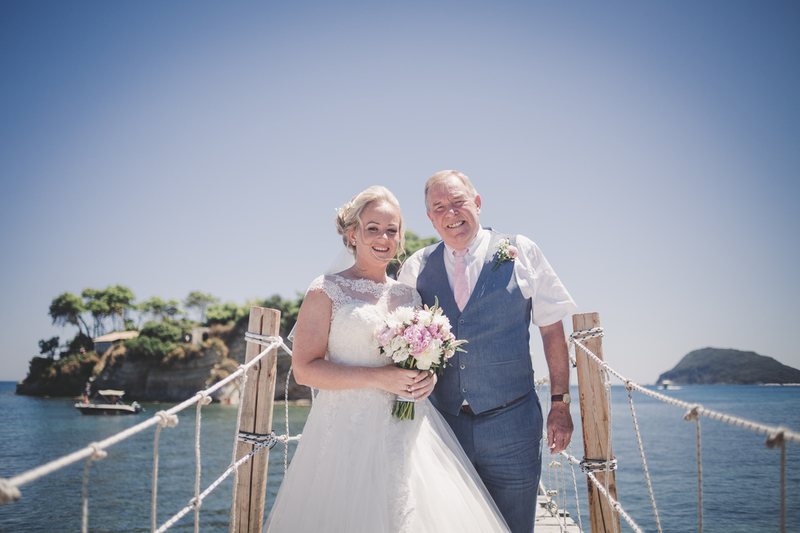 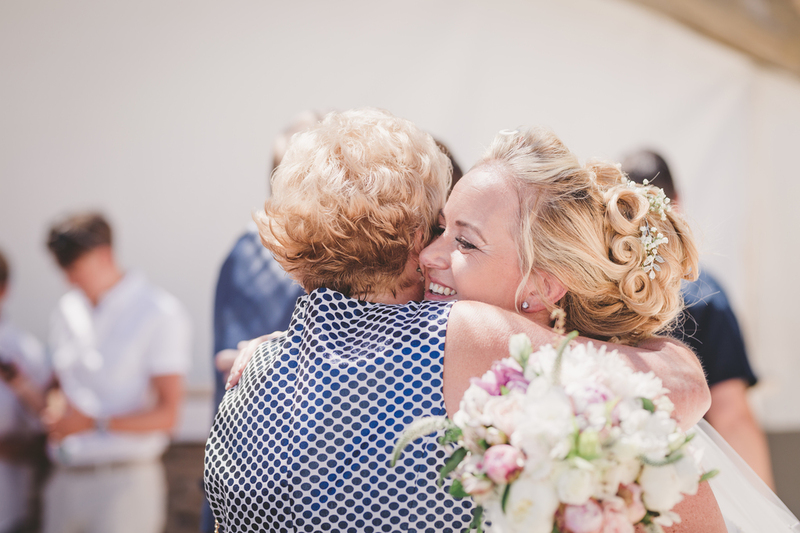 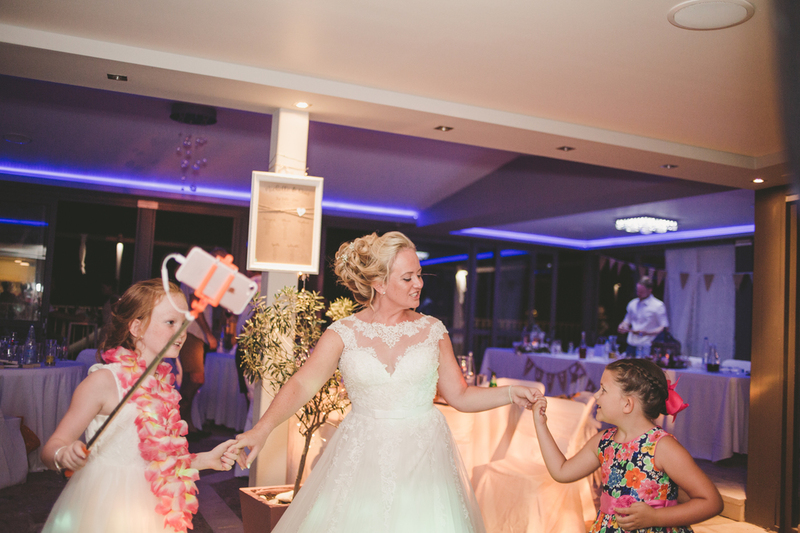 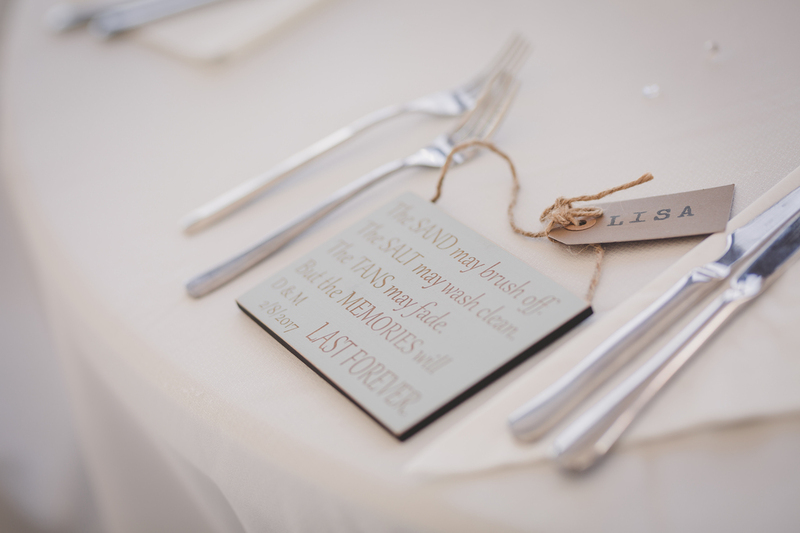 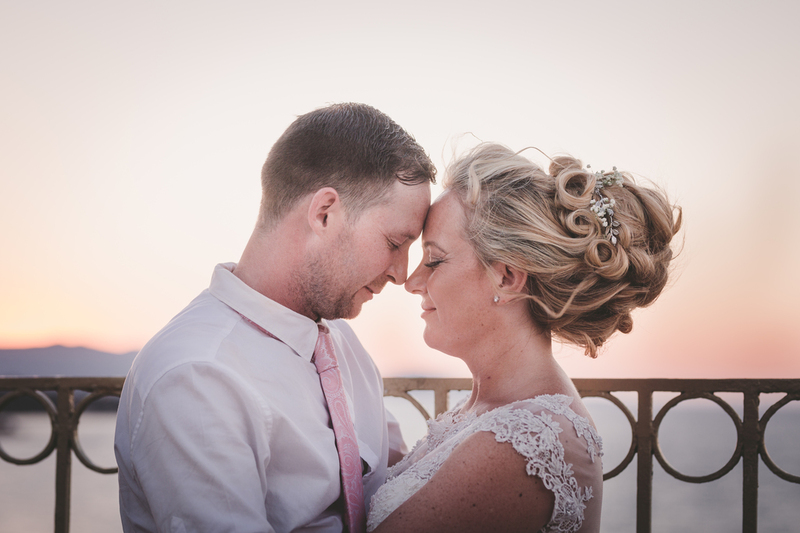 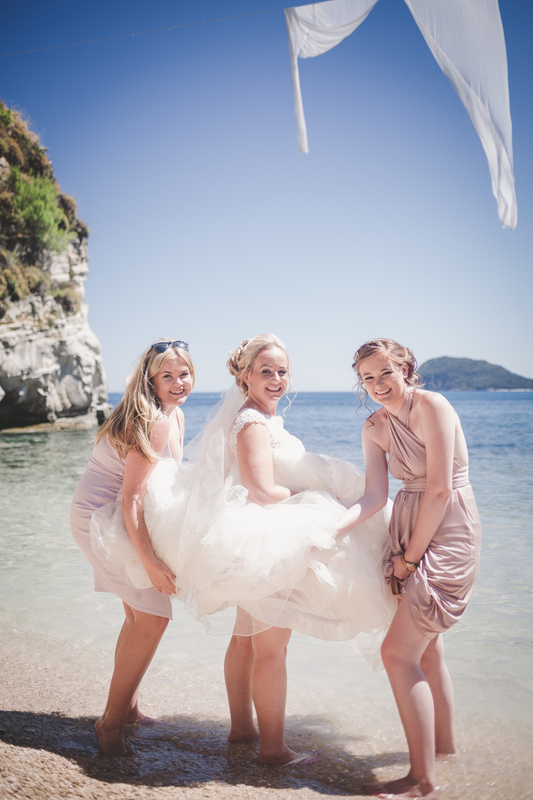 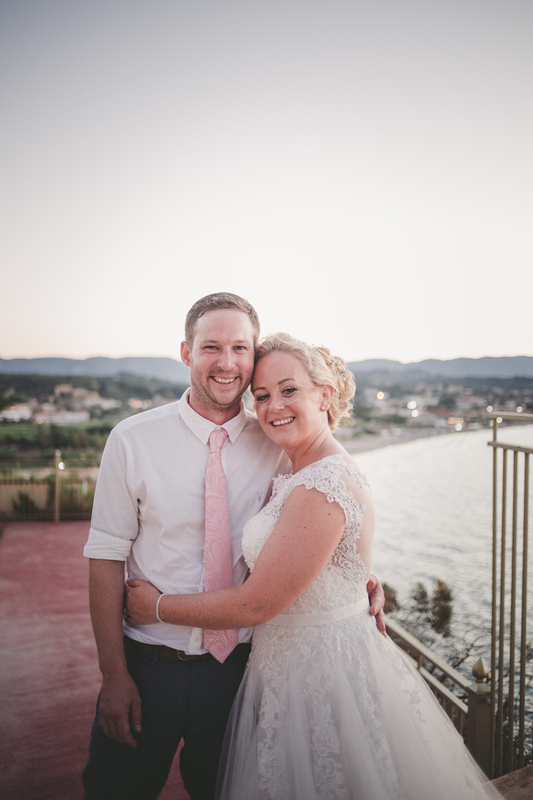 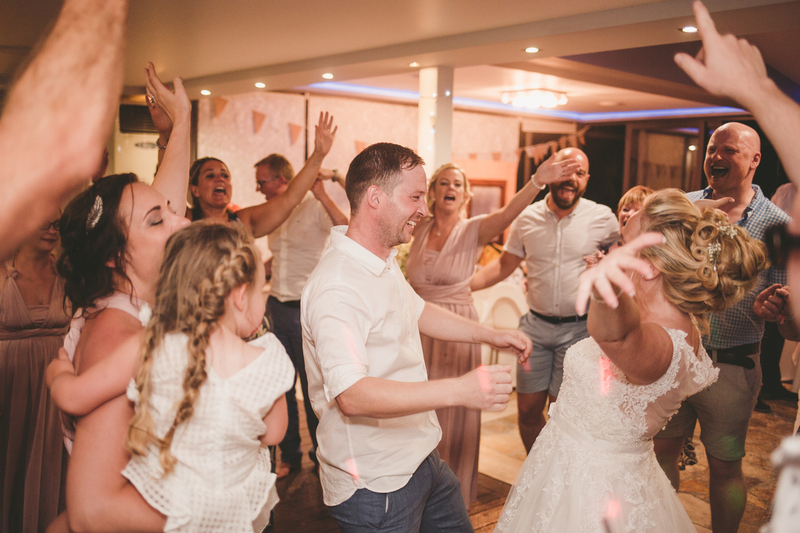 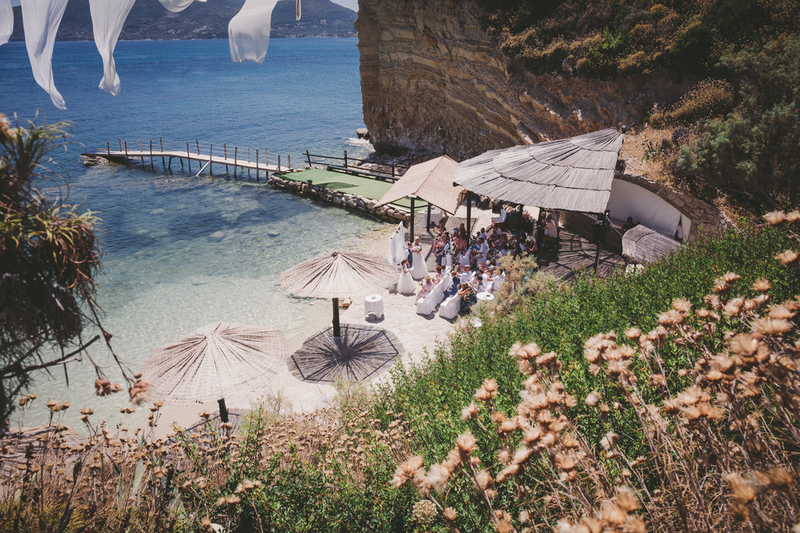 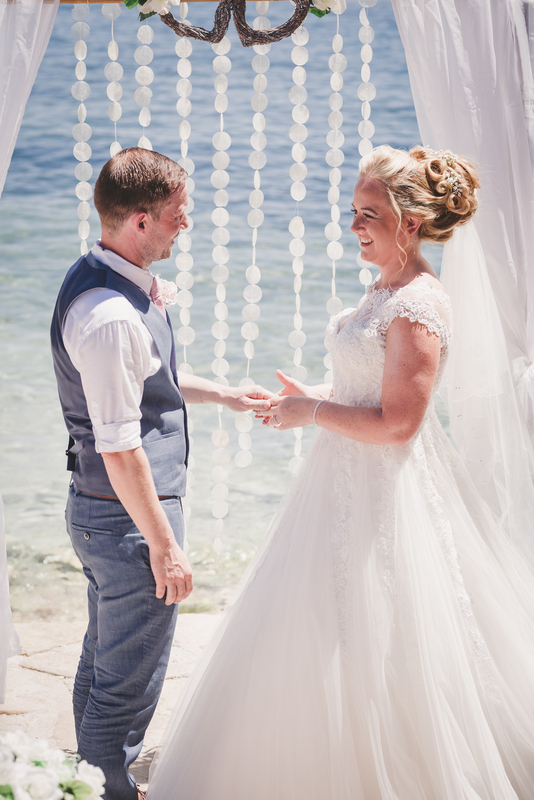 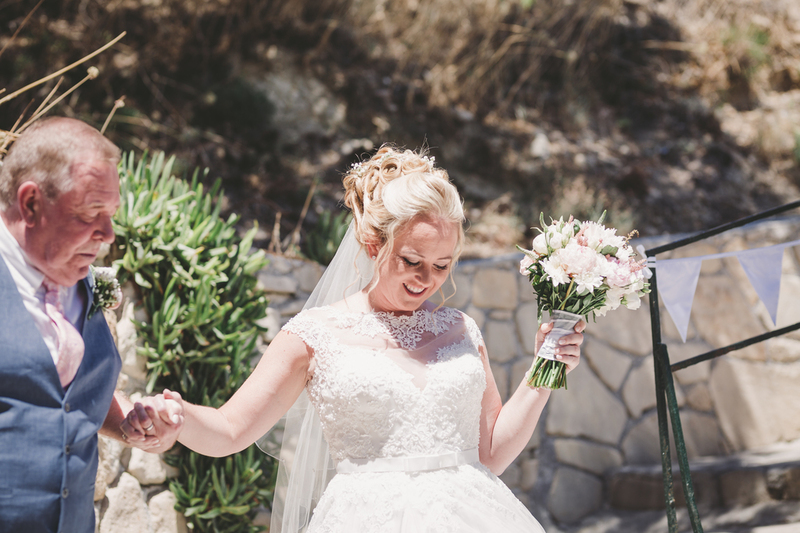 Thank you so much to Helen and Dani for sharing this lovely destination wedding in Zante. 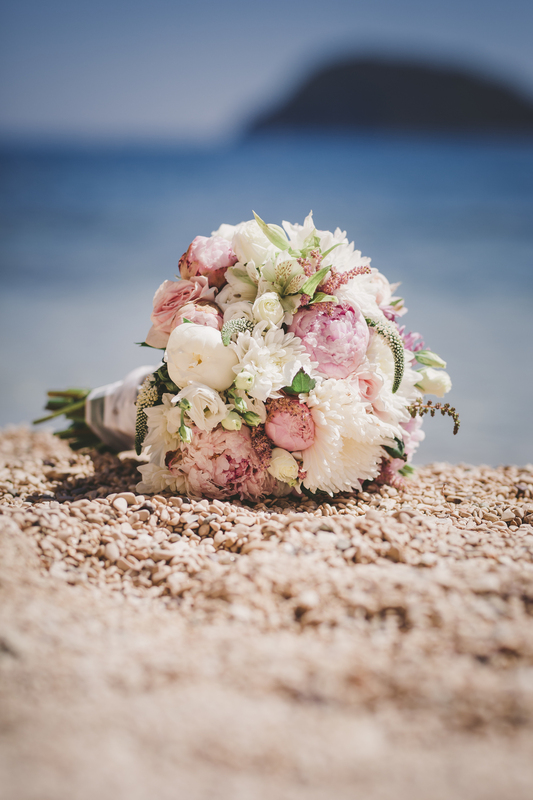 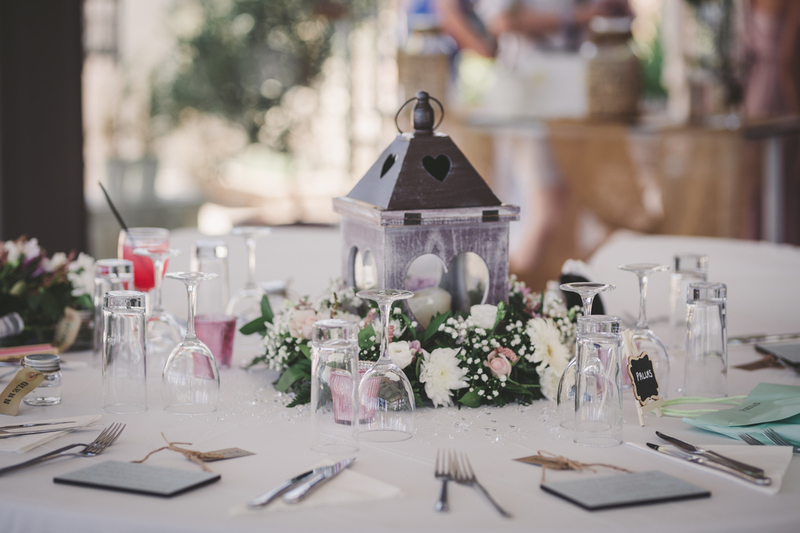 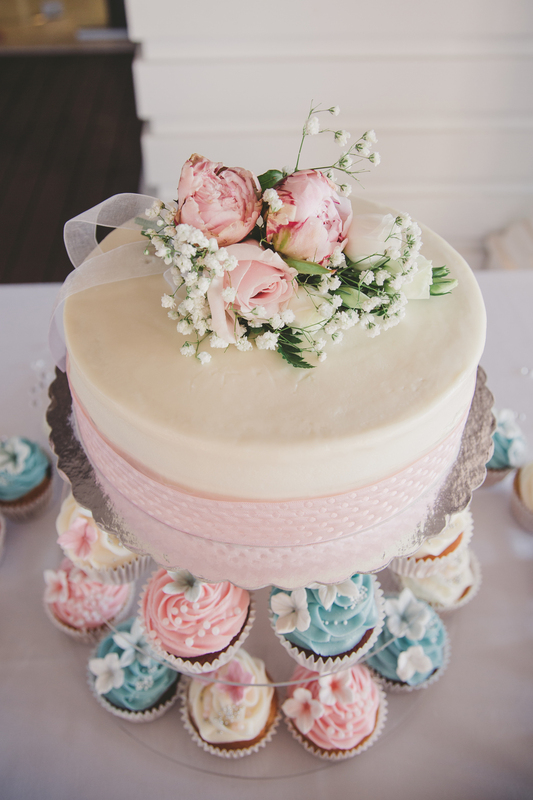 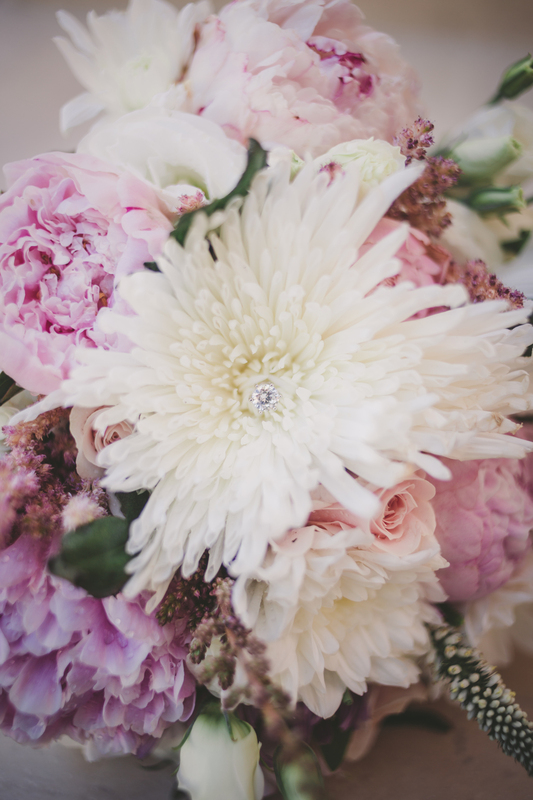 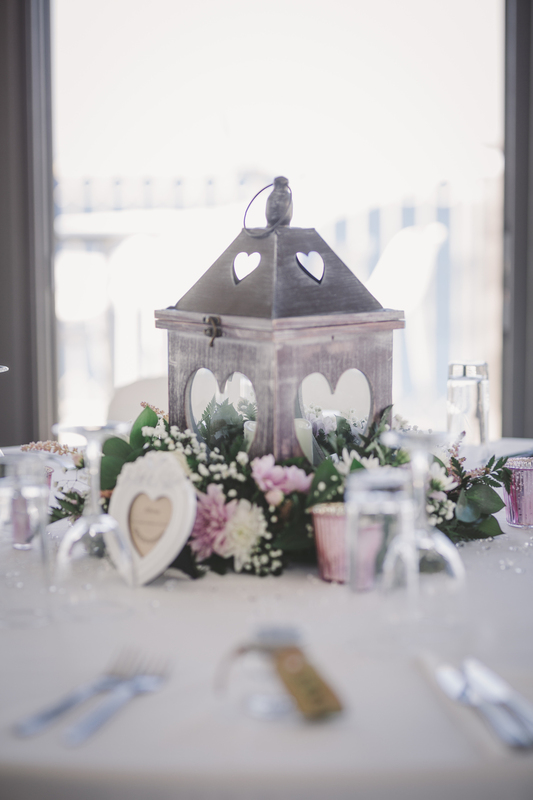 The pretty pink and blue colour palette is so delicate, but compliments this Big Day so well with a simple island charm. 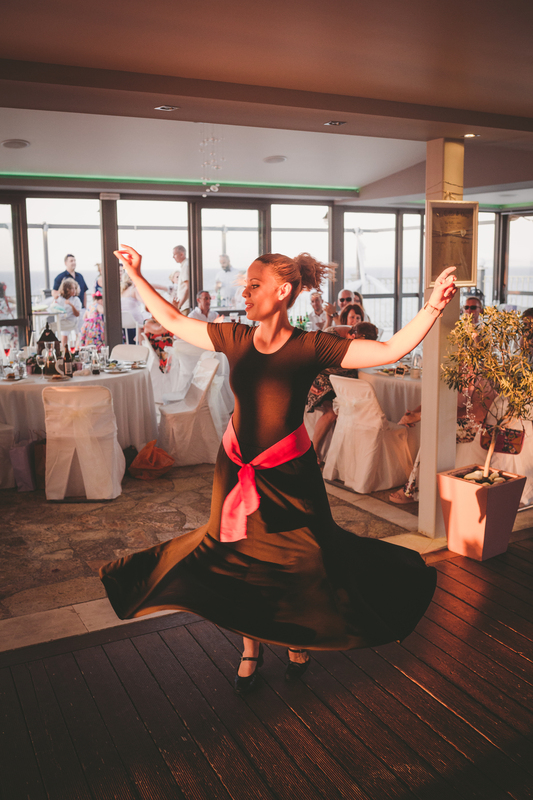 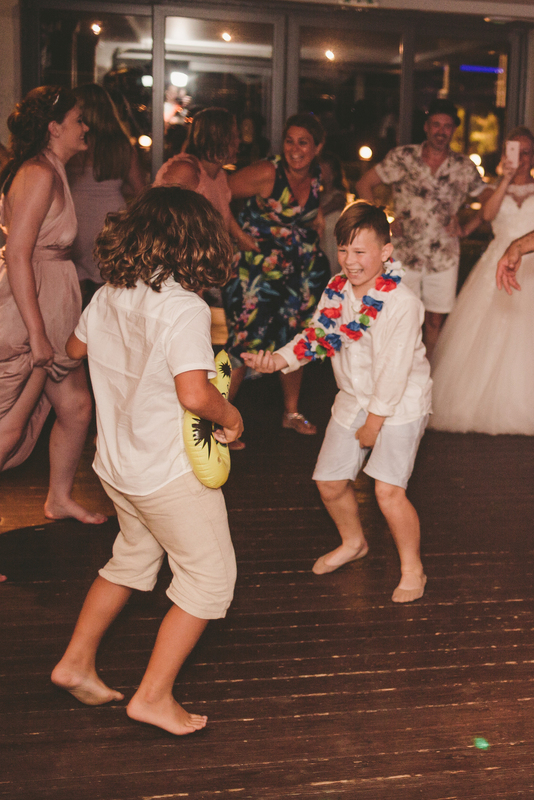 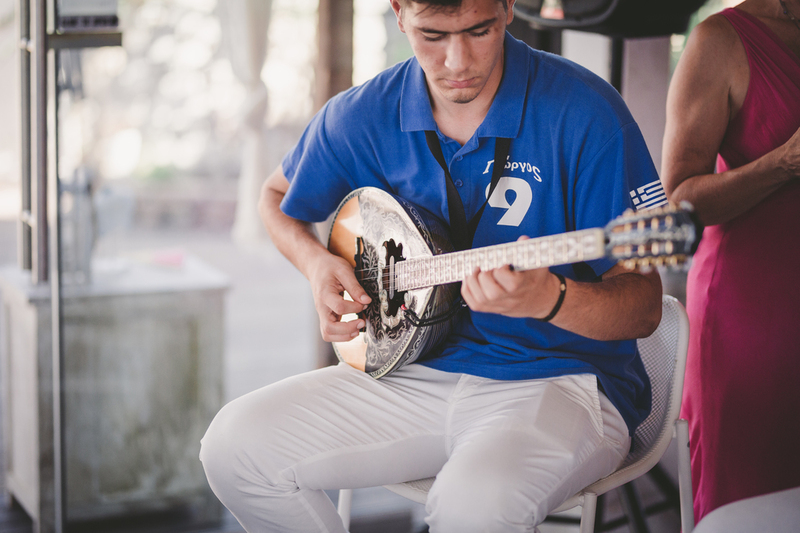 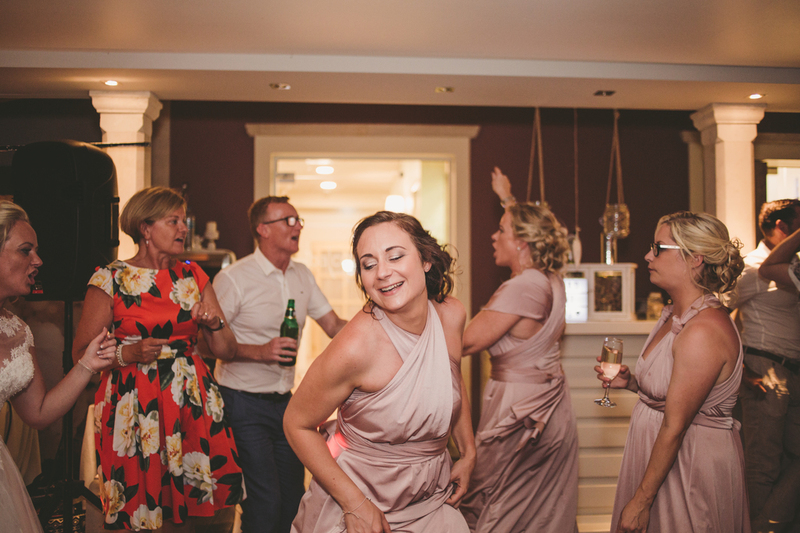 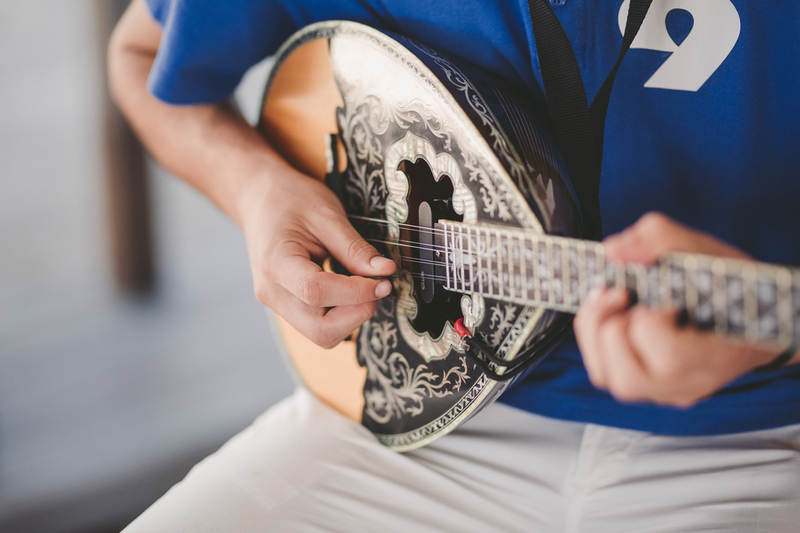 I love also how the air of pure relaxation is reflected perfectly in the informality of the flow of the day balanced with fun and celebration and dancing. 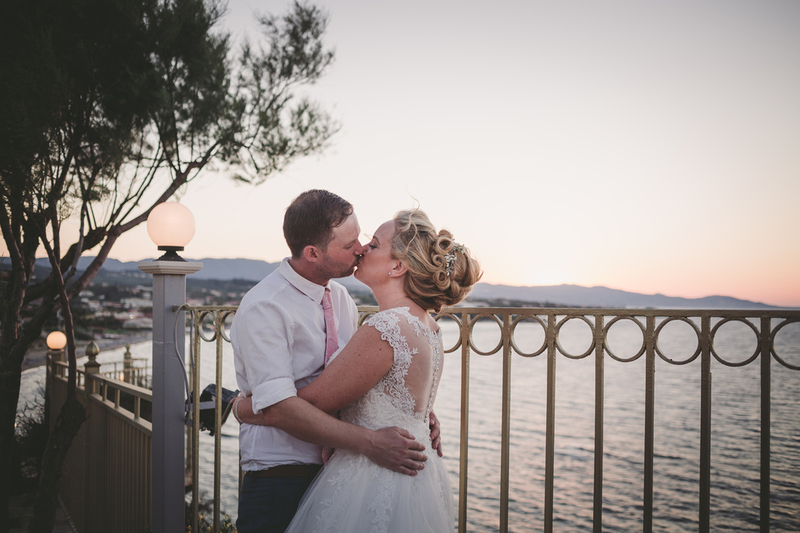 Dress – Christine Dando (Bayswater) – Confetti and Lace – Lakeside.